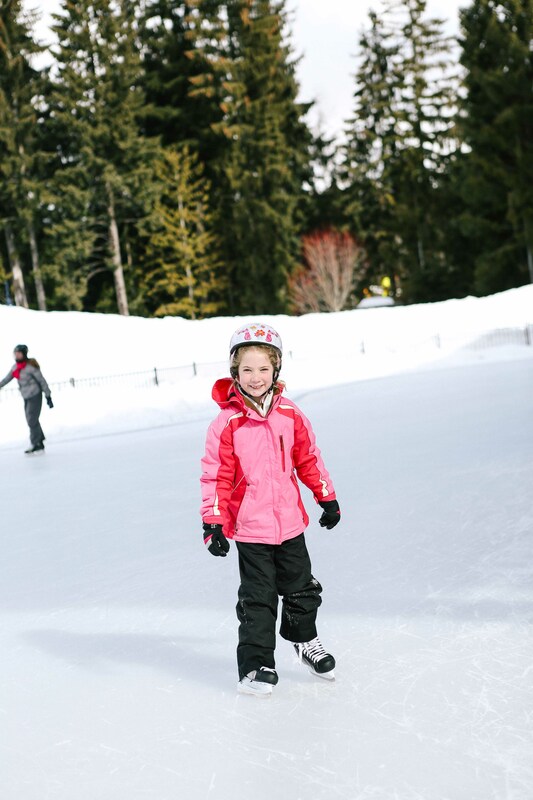 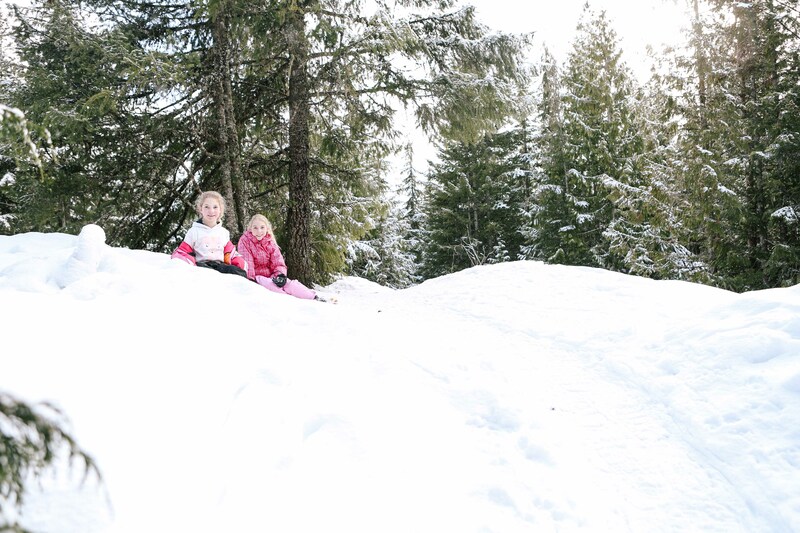 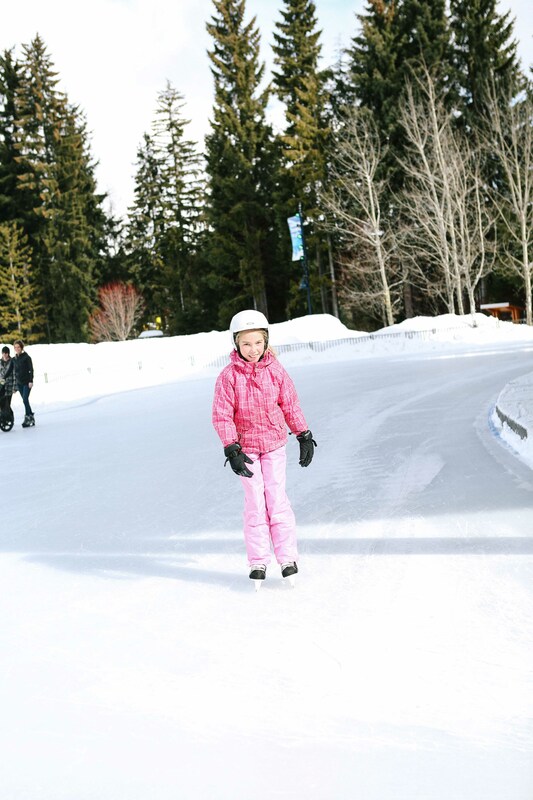 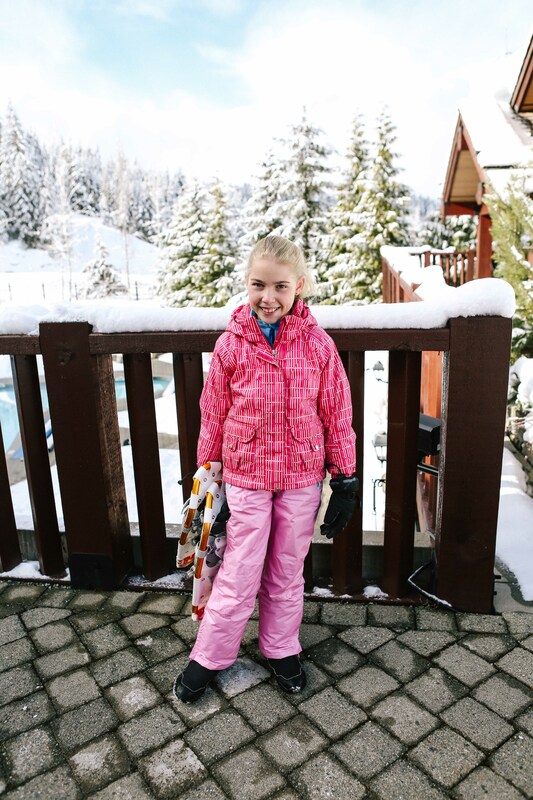 This week I hit Mt Seymour in North Vancouver with a bunch of parents from Sienna’s school. 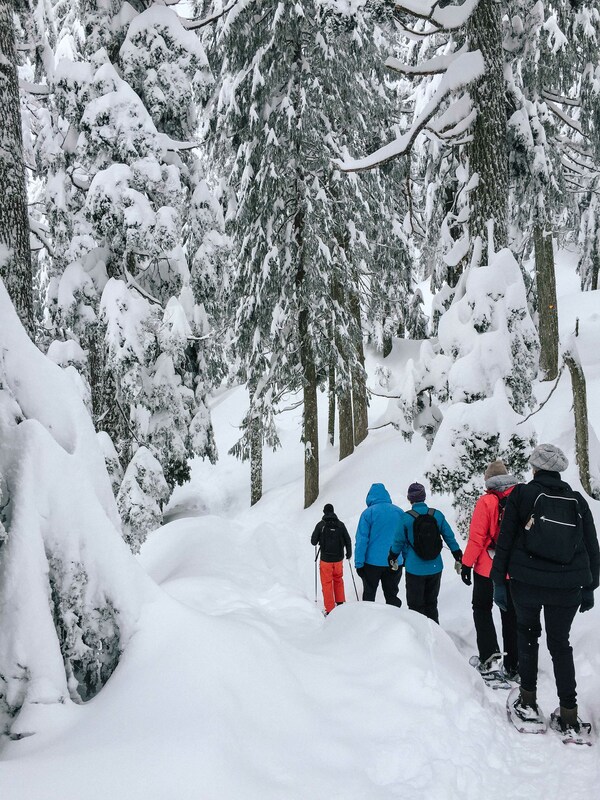 We have taken to snow shoeing on local ski mountains in the past two weeks as the snow is amazing and we need to make the most of it! 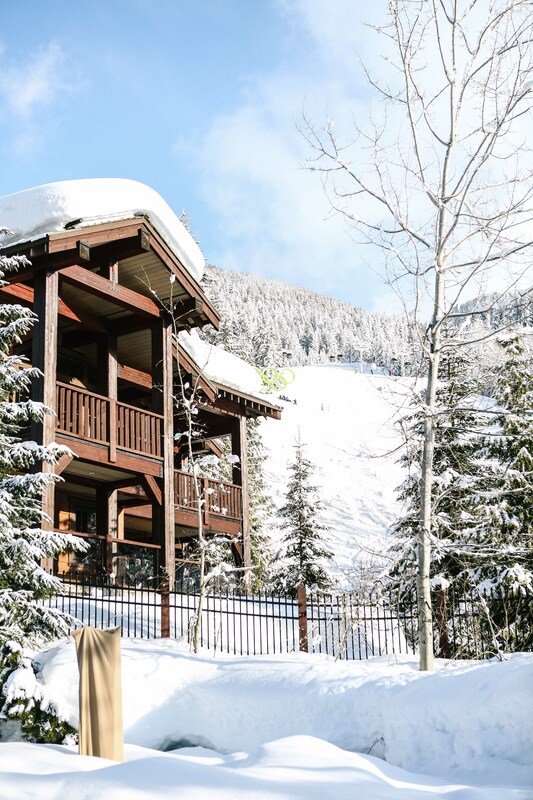 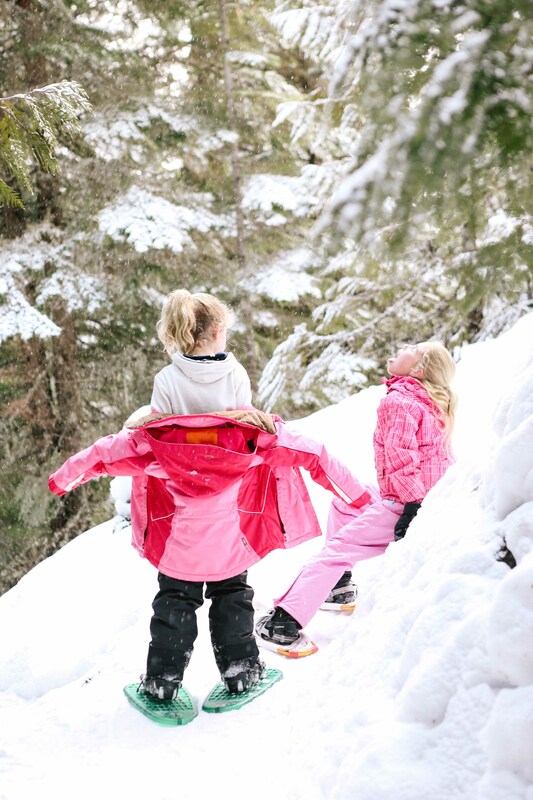 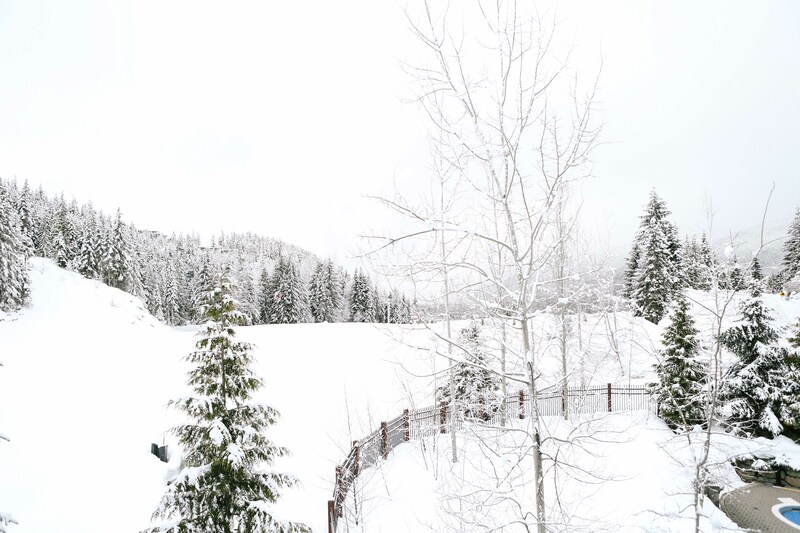 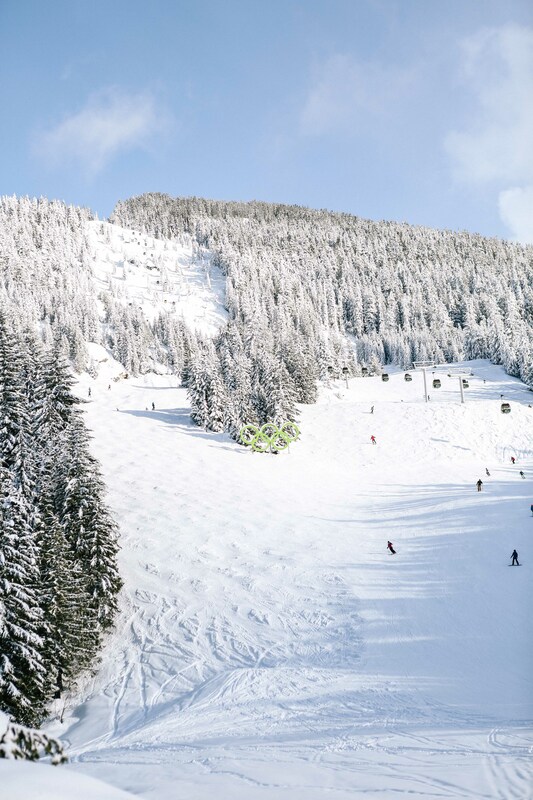 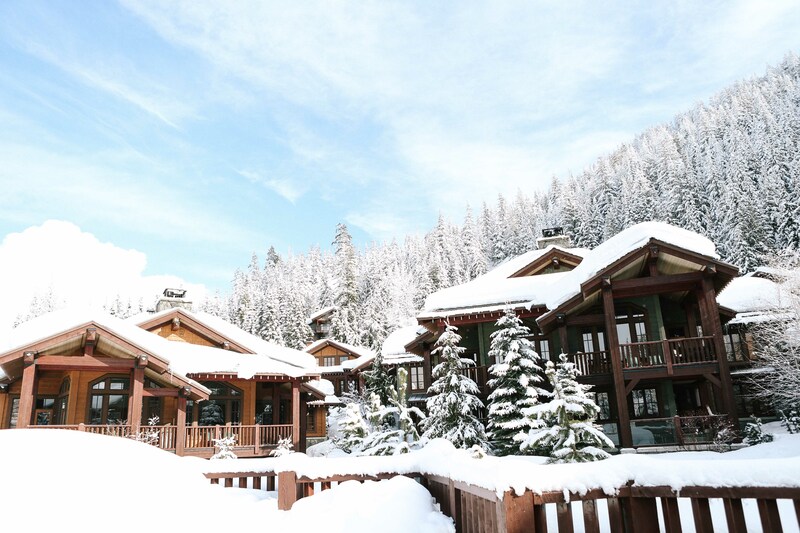 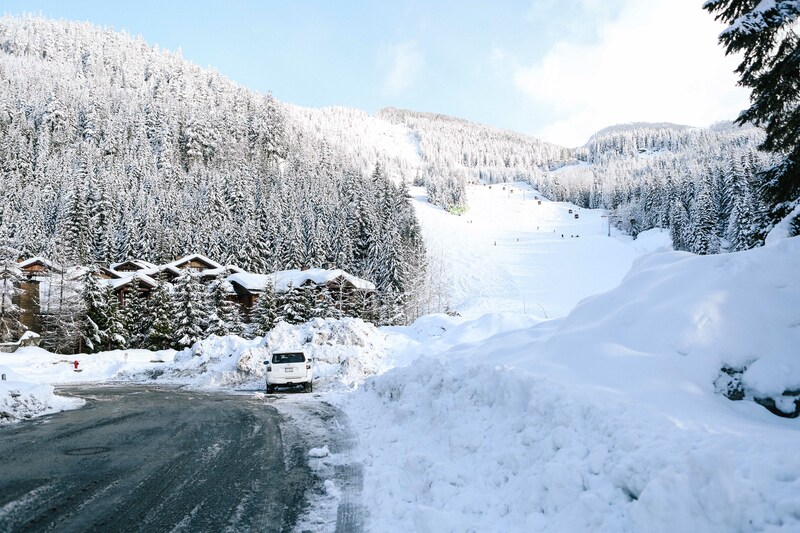 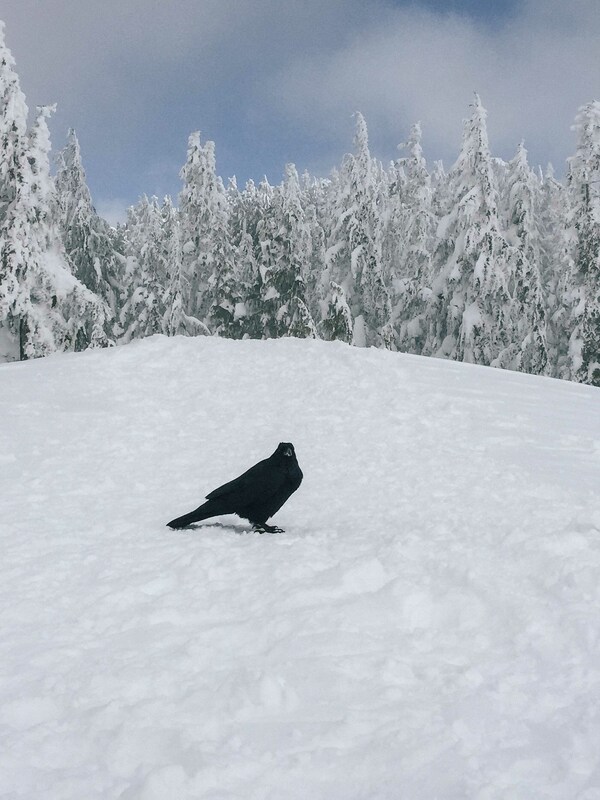 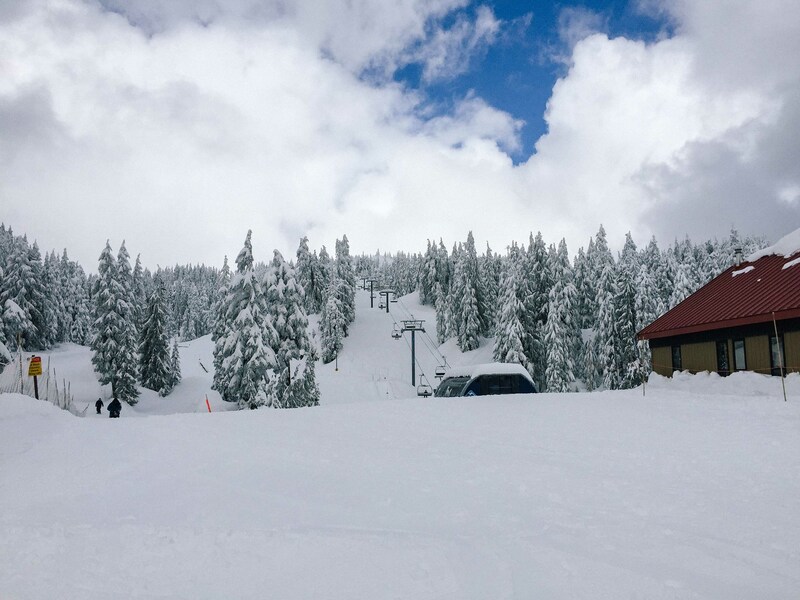 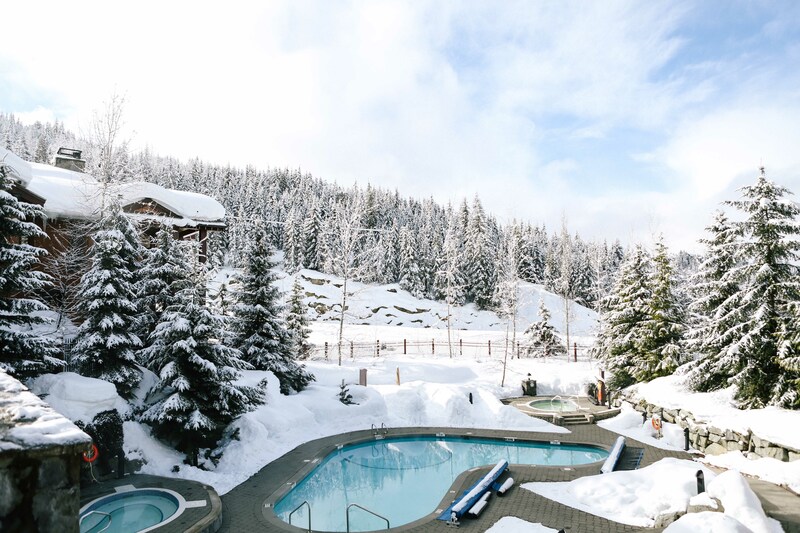 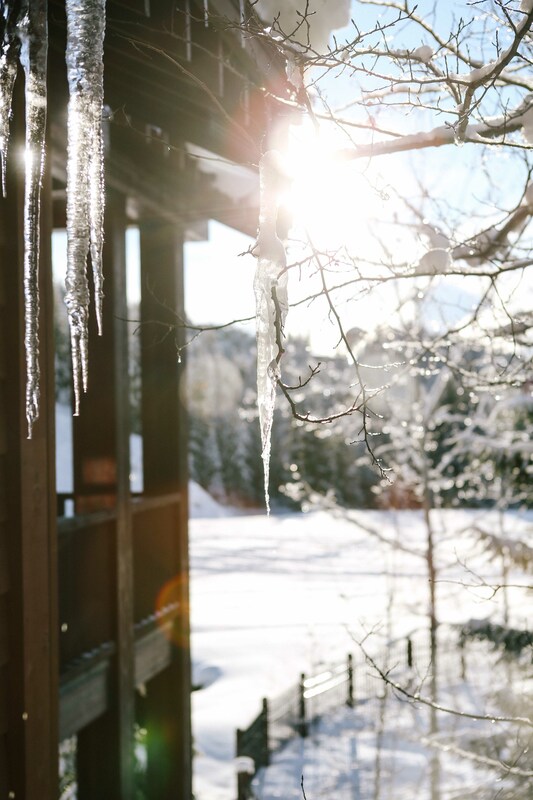 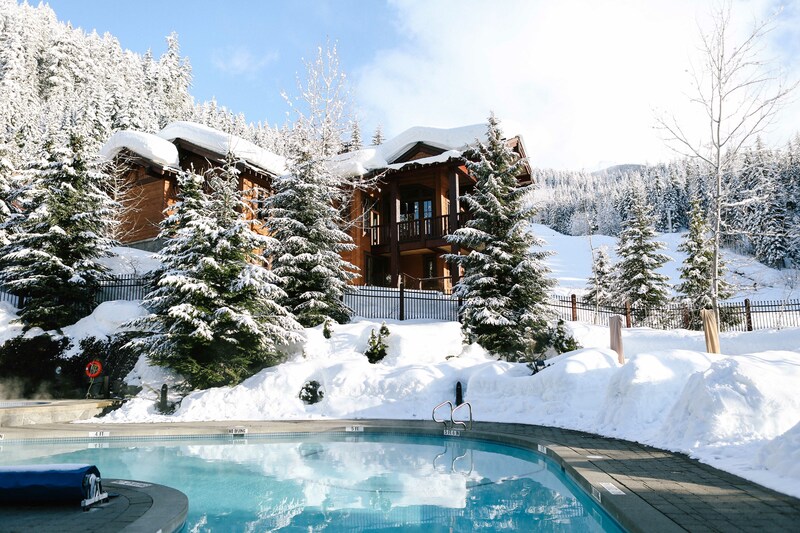 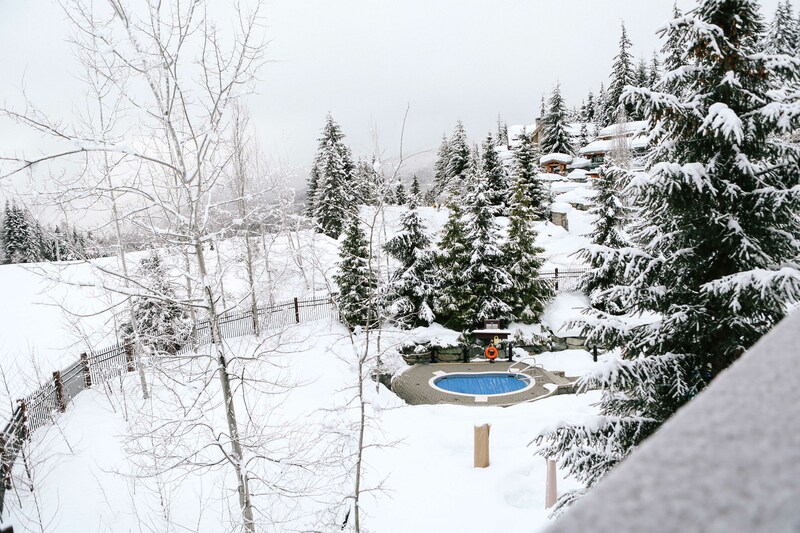 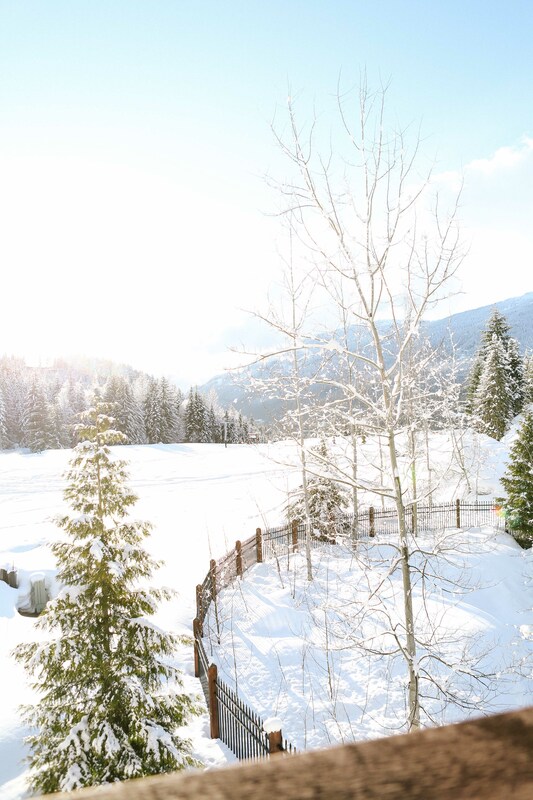 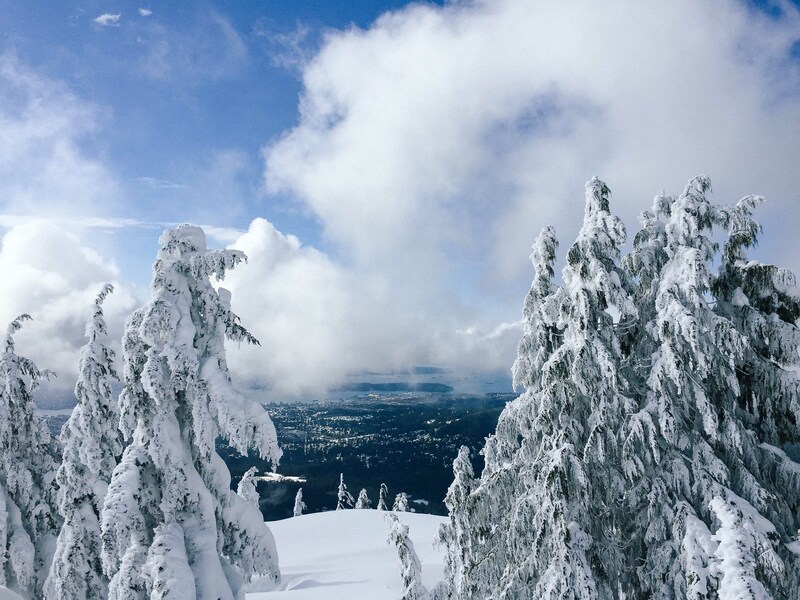 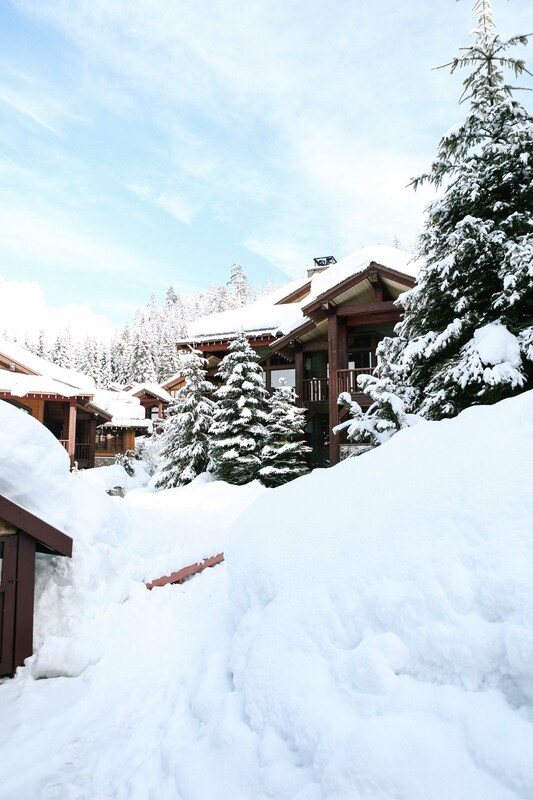 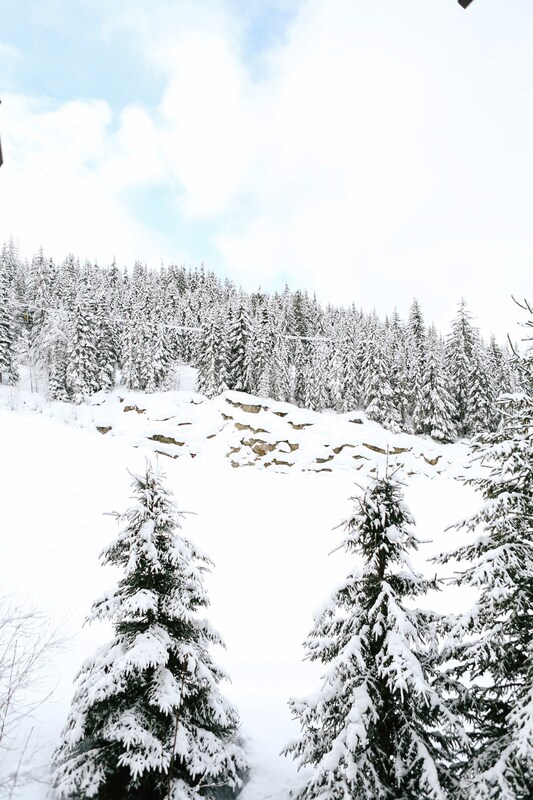 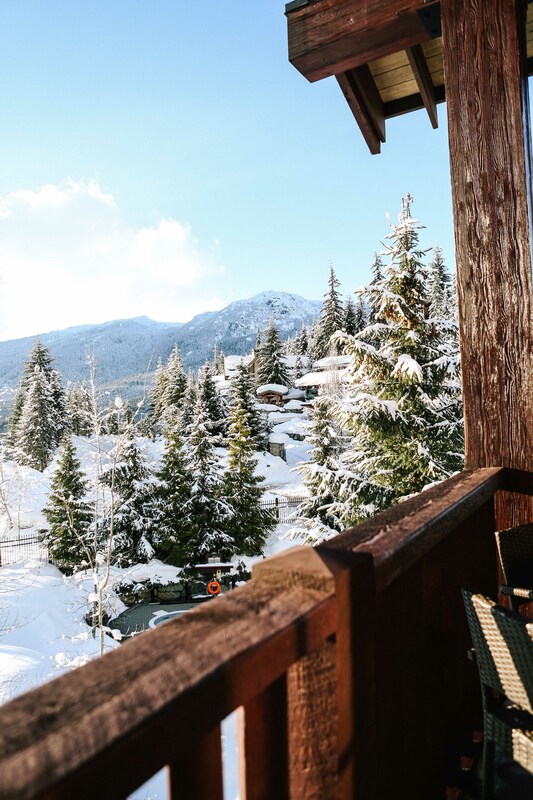 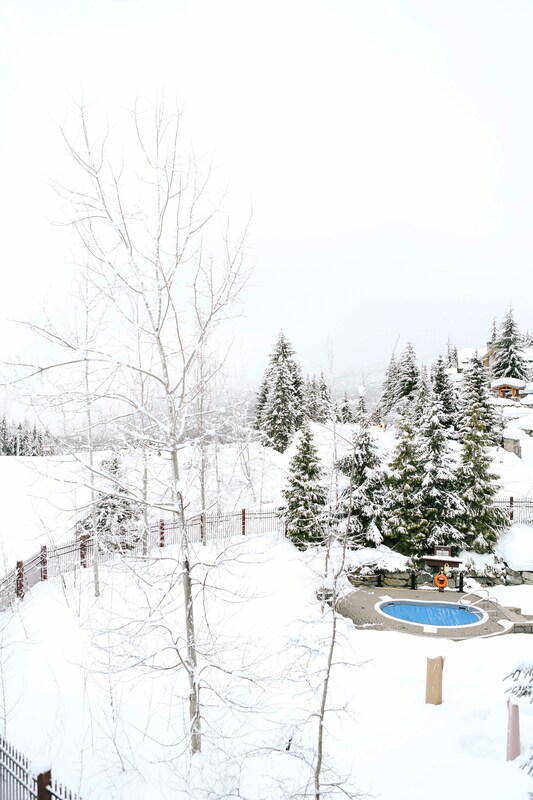 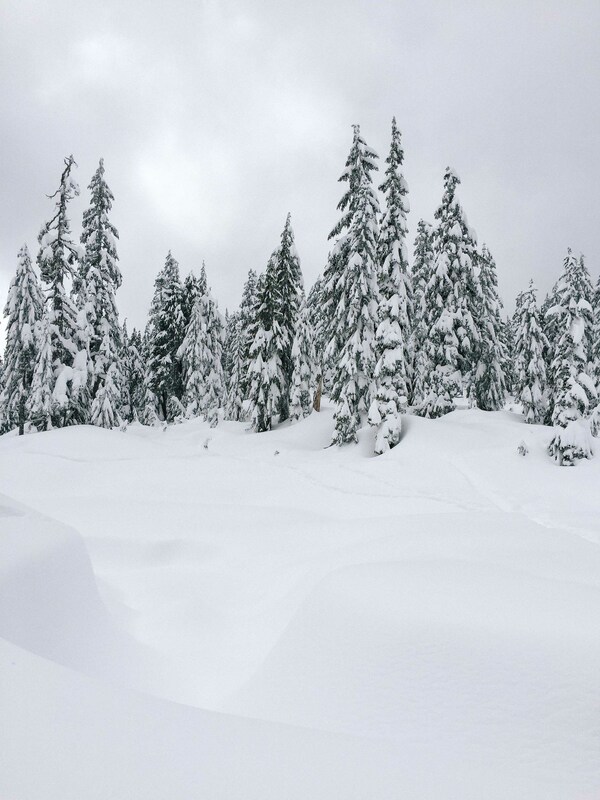 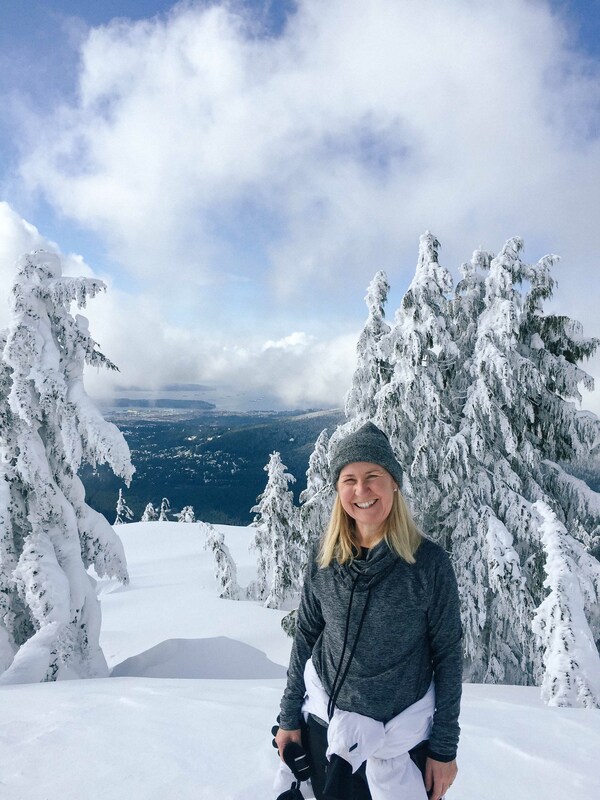 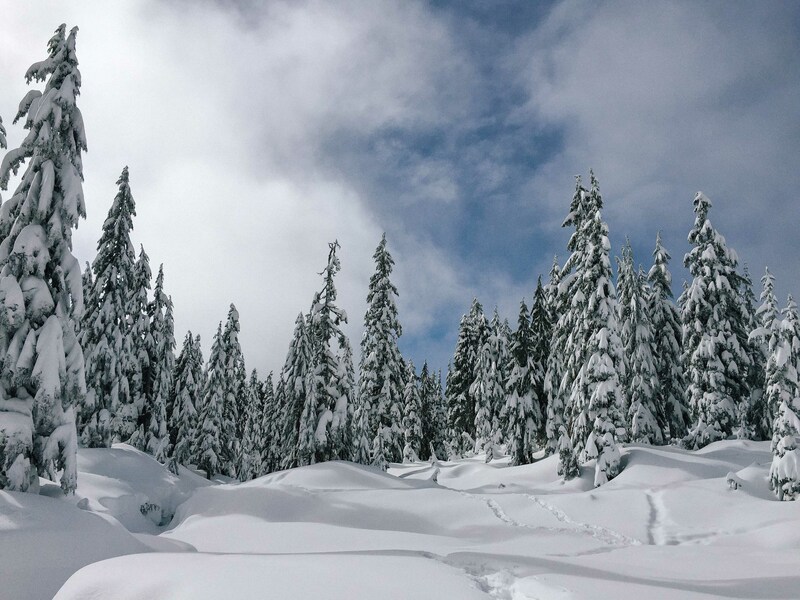 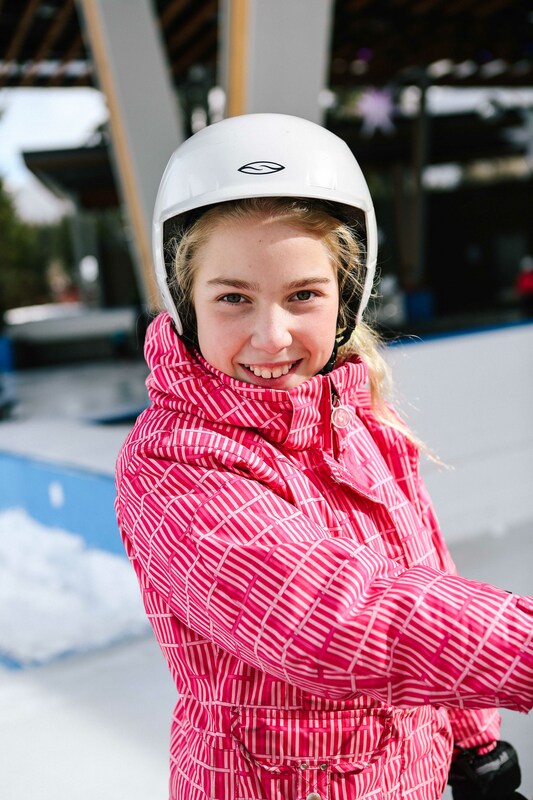 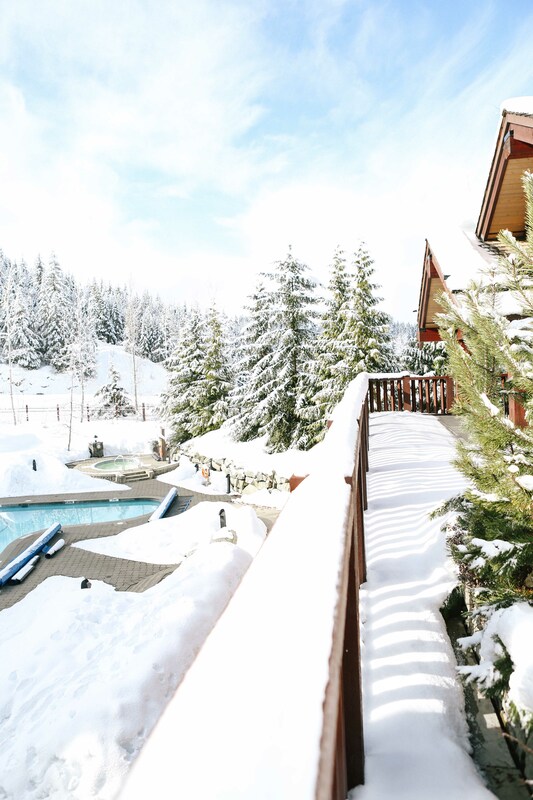 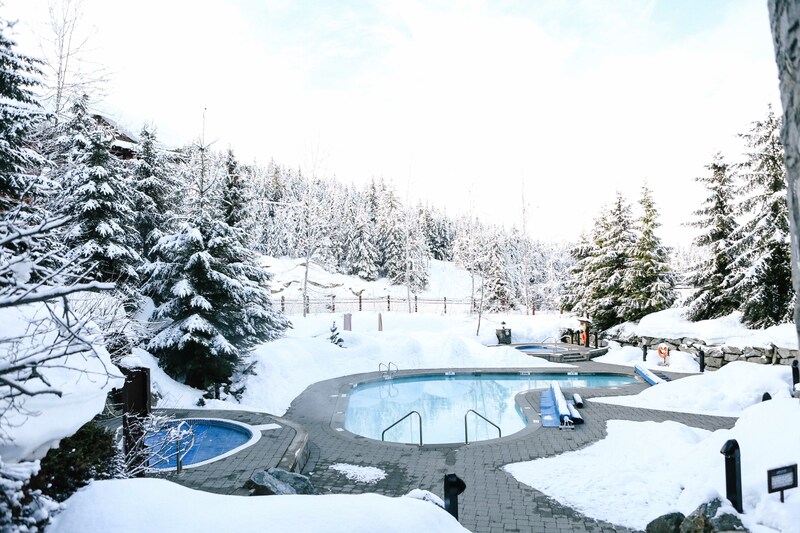 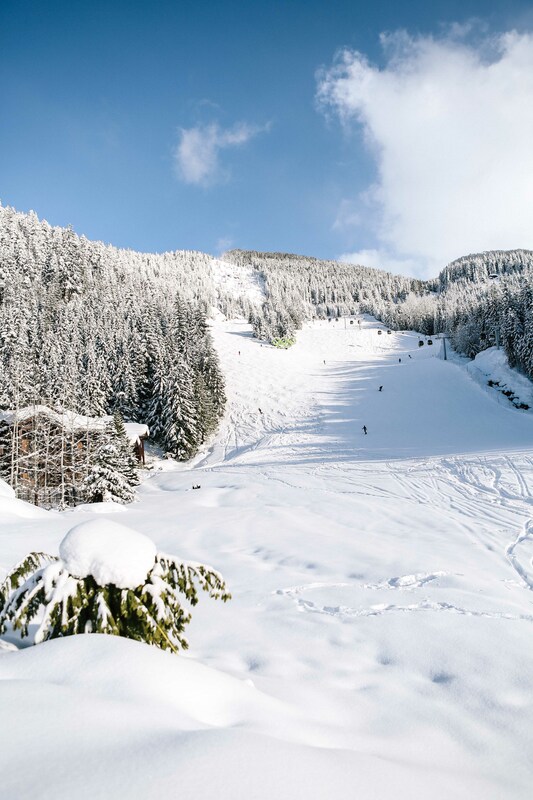 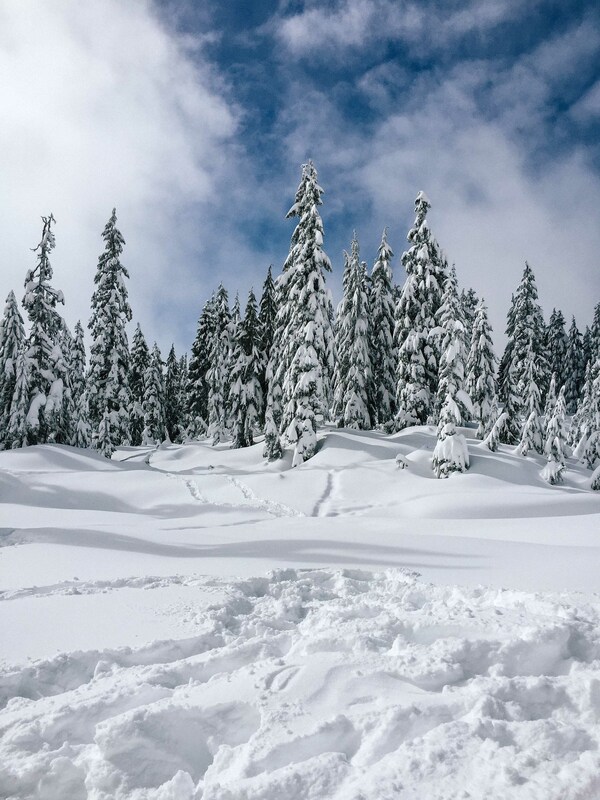 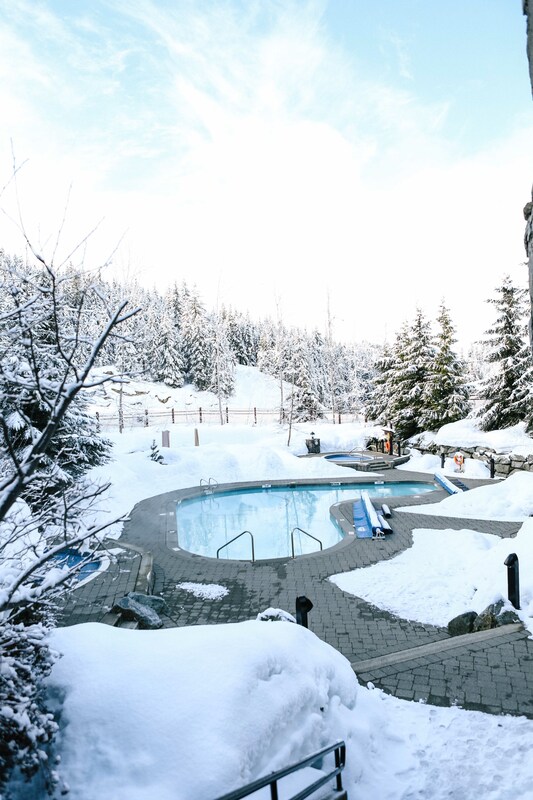 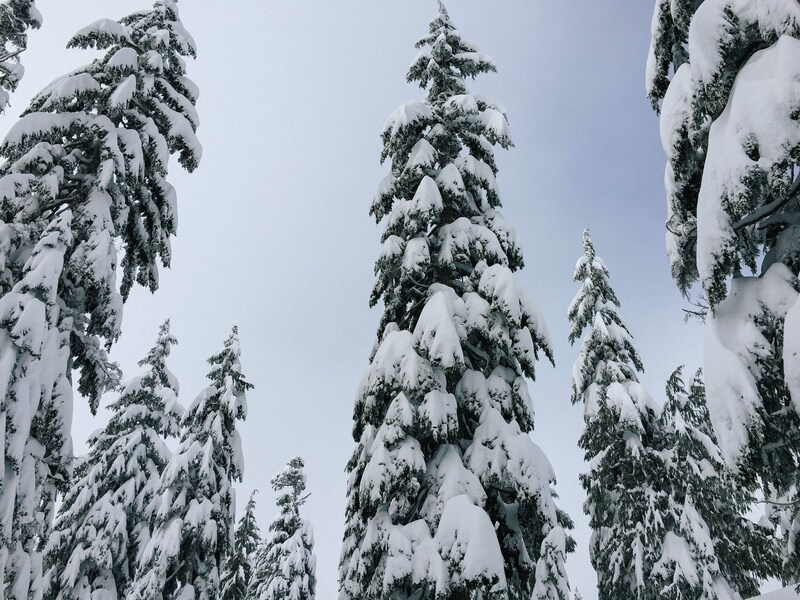 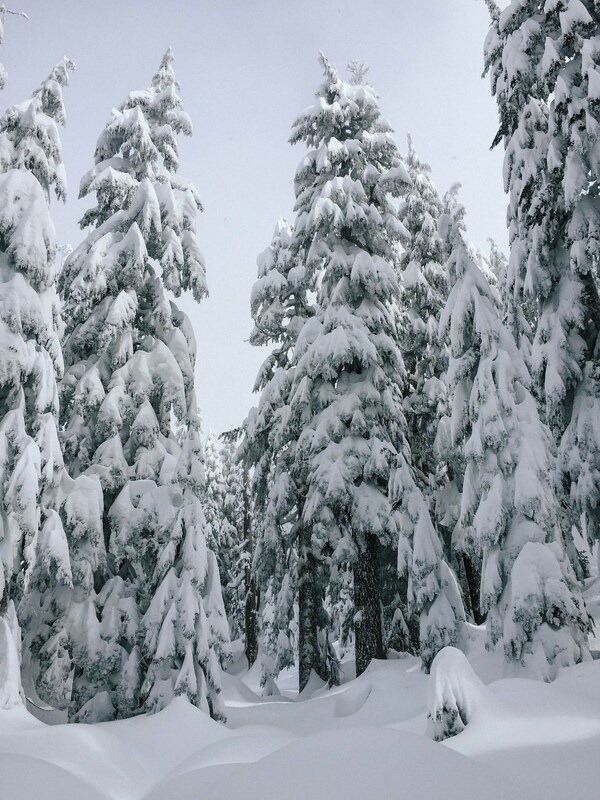 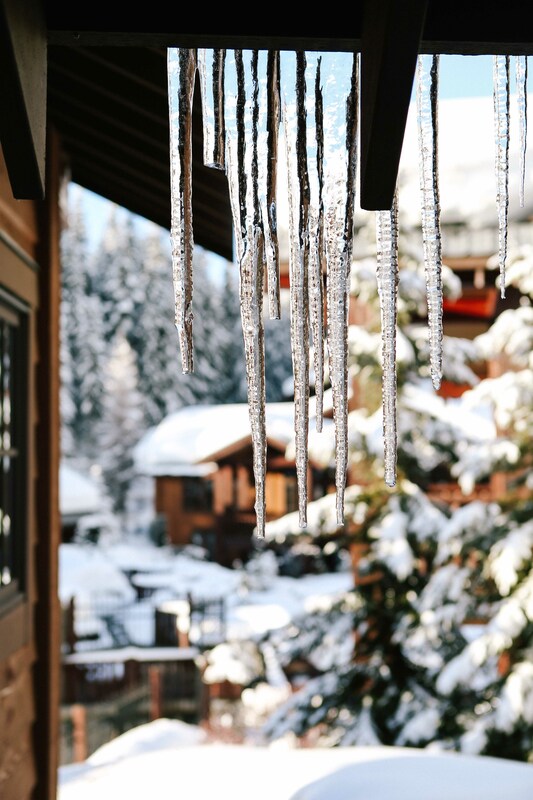 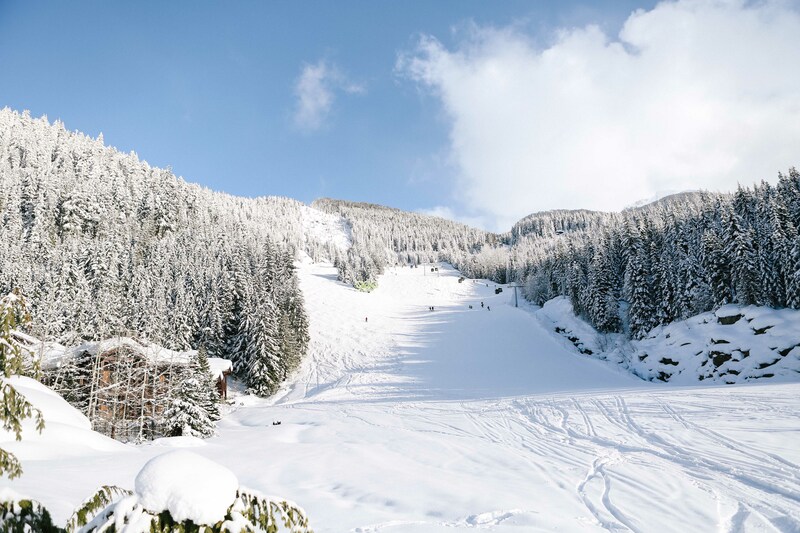 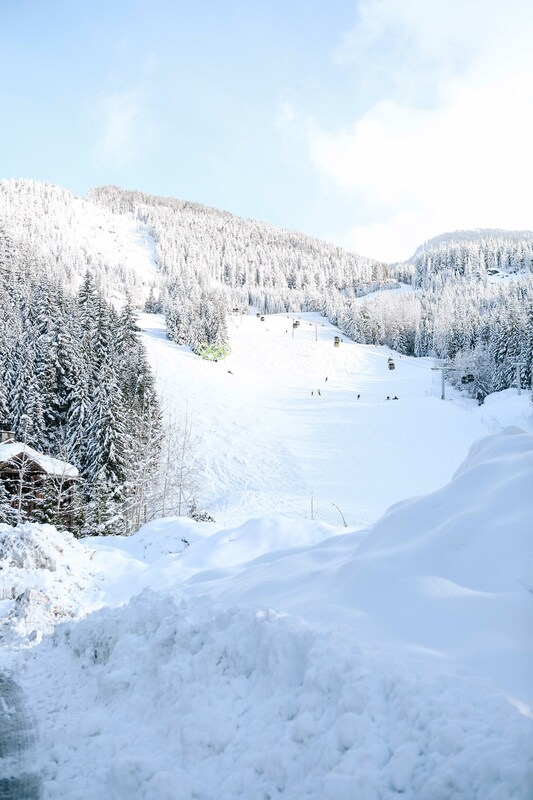 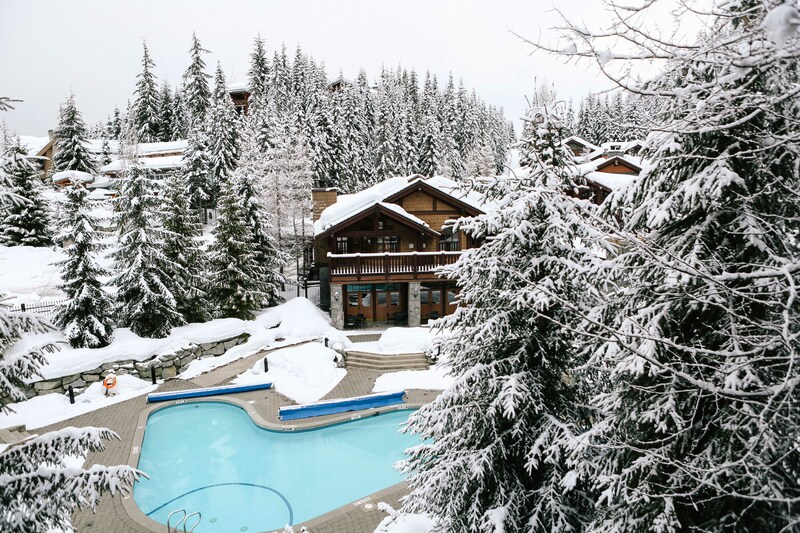 It is supposedly spring here in Vancouver but with the temperatures still low they are experiencing some of the best snow falls for the season! 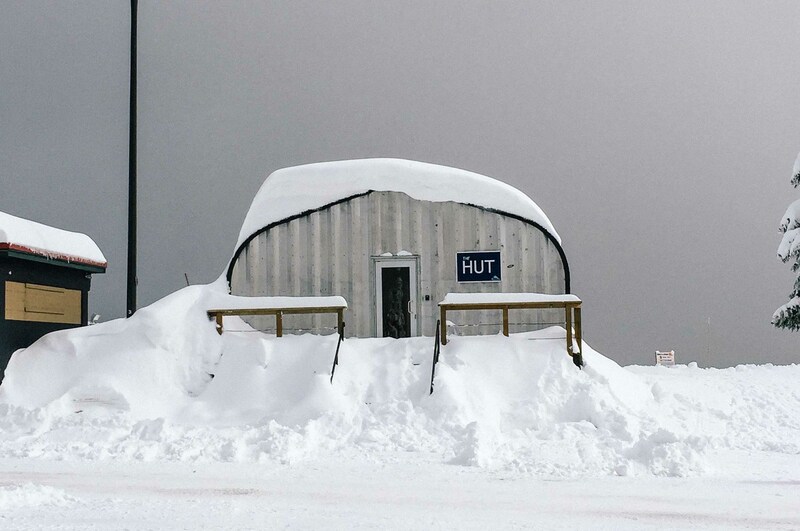 I must say I don’t think I have ever seen this much snow. 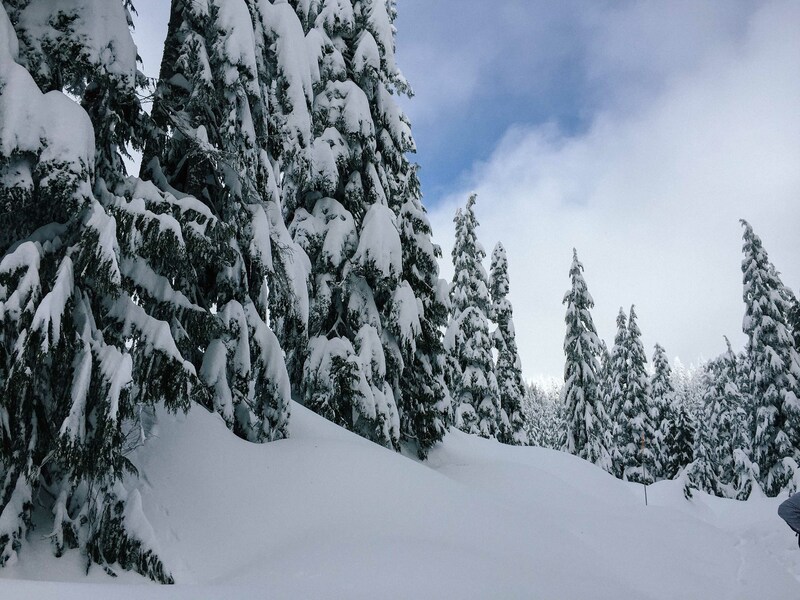 The drive from the westside of Vancouver to Mt Seymour was about 45 minutes. 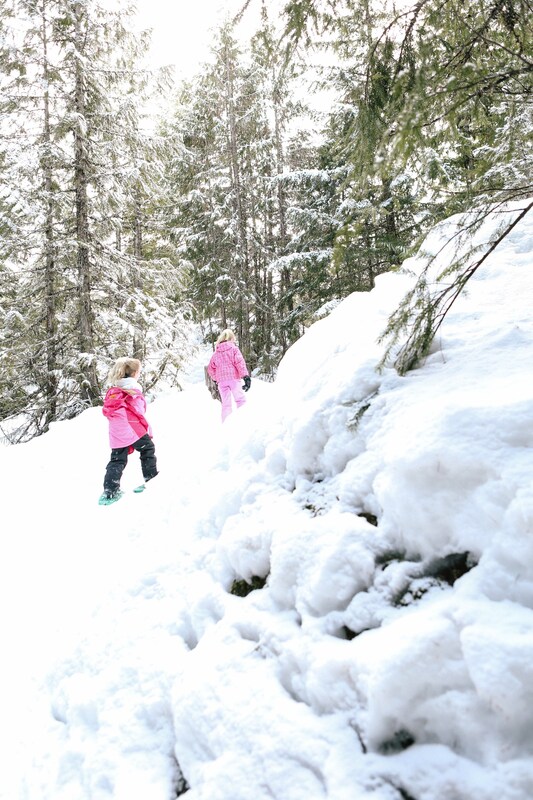 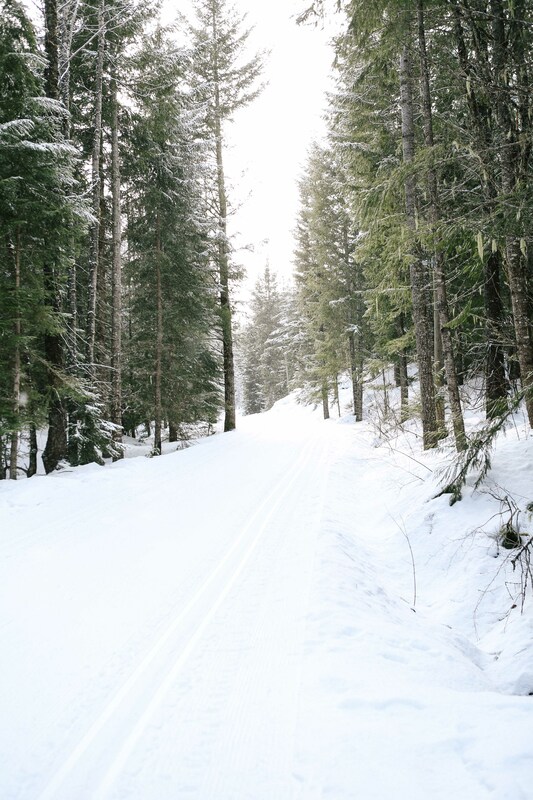 Once there we grabbed our snow shoes and hit the trail recommended by one of the staff members. 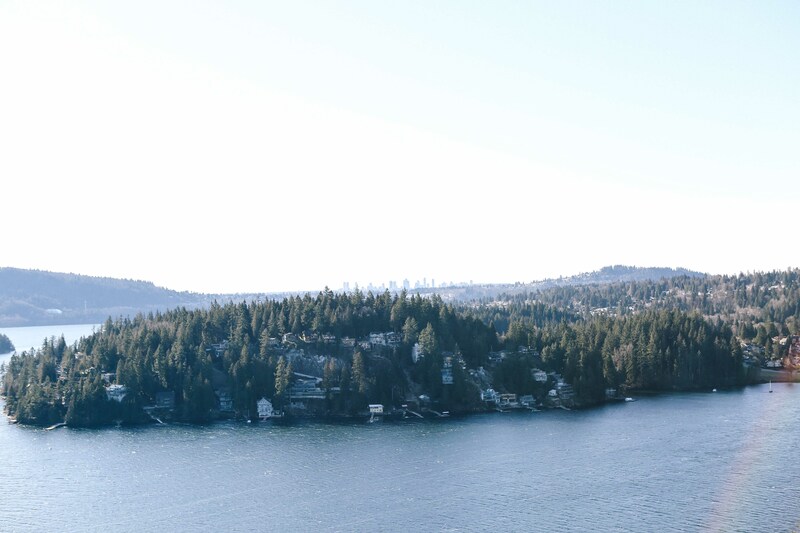 He certainly gave us the pick of the day as the weather was rather cloudy and foggy when we started our walk but when we reached the view point at the top of Dog Mountain the clouds cleared and we had a brilliant view of Vancouver below! 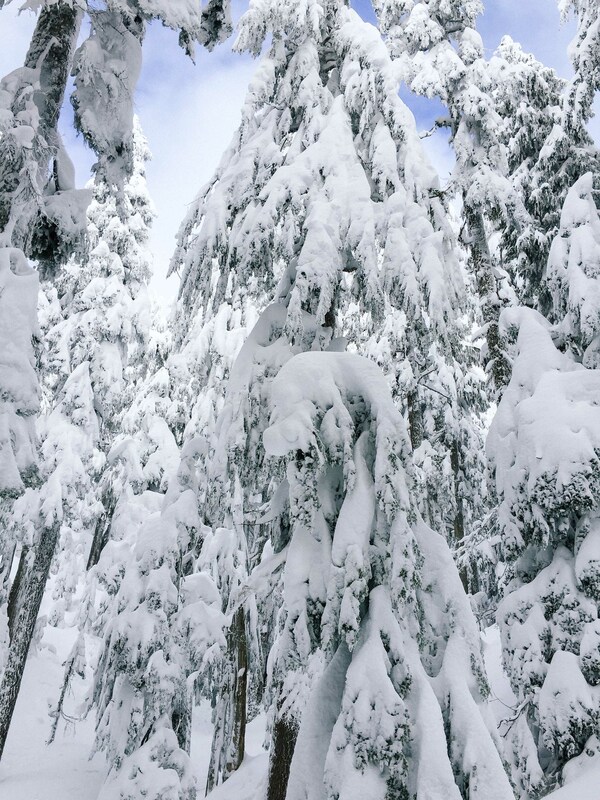 I certainly wish I had taken the Canon but alas I decided the weather would not warrant carrying my heavy friend so it was the iPhone that did all the capturing on the day! 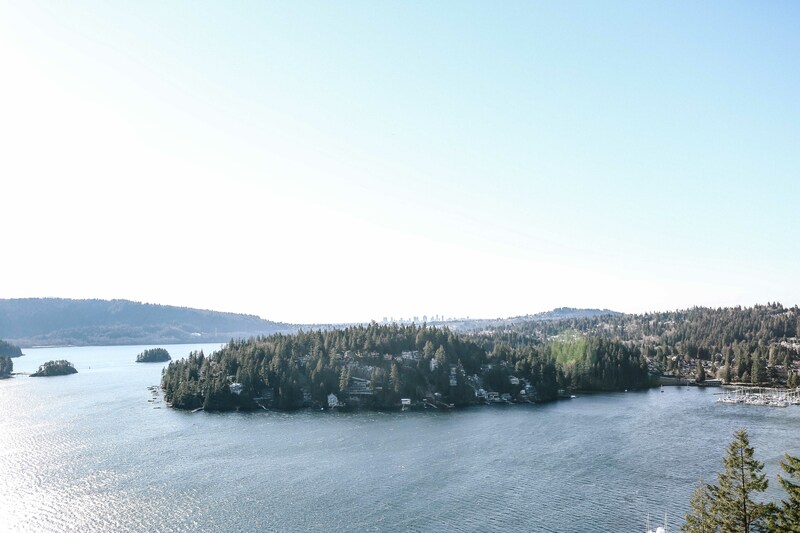 Vancouver is famous for it’s rain, which surprisingly (and gratefully) we have not had a lot of since our arrival here in December. 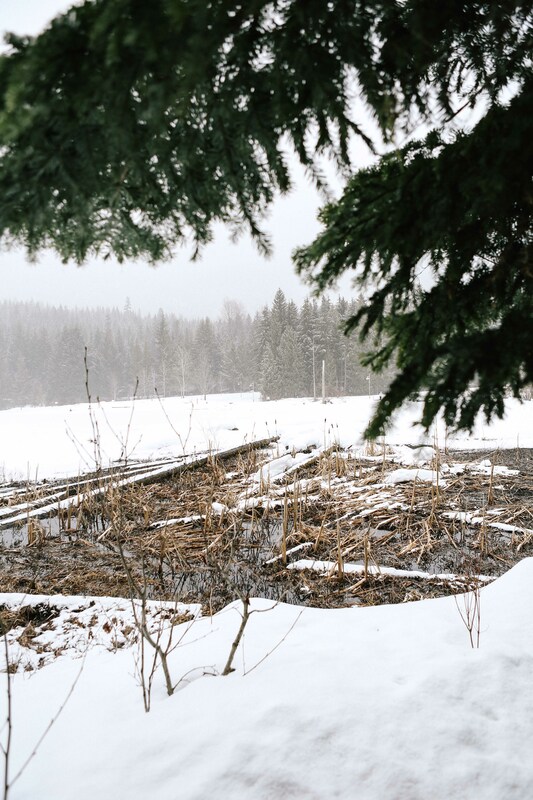 The day the walking group decided to visit Whyte Lake however was not one of those days! 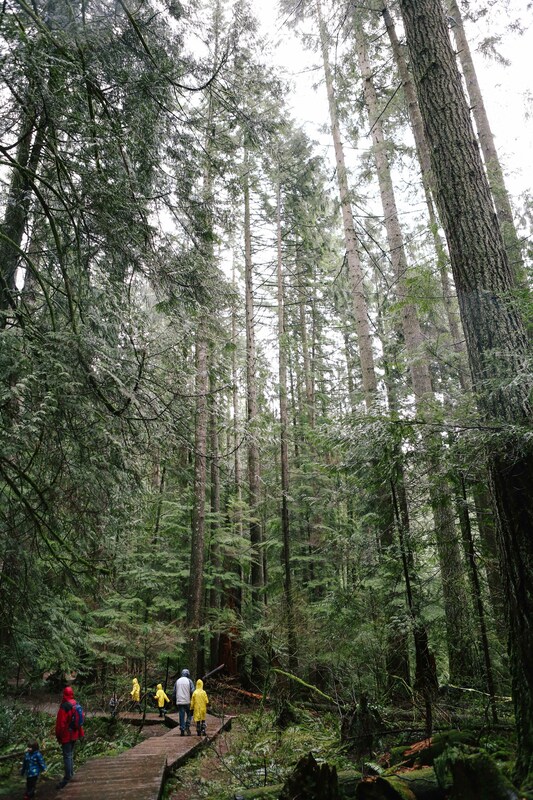 We were in the forrest though so we did not get as wet as you would when out in the open. 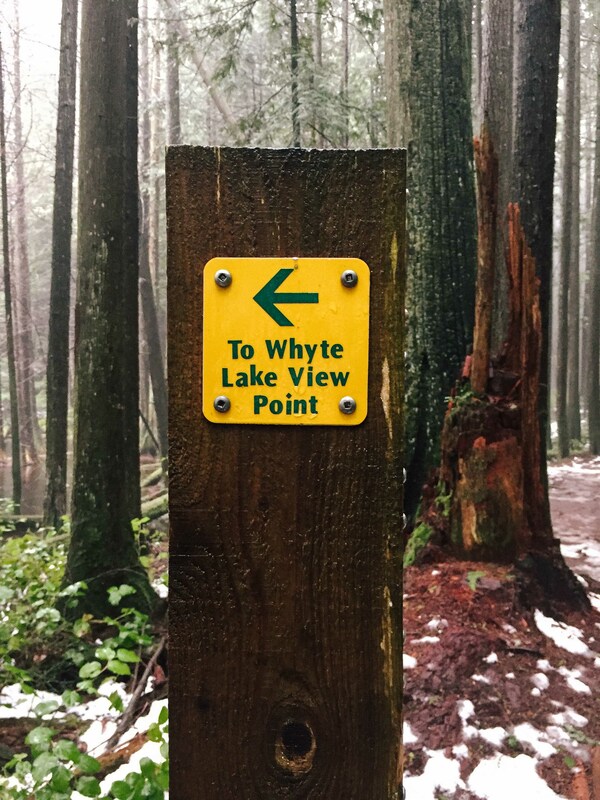 Whyte Lake is in West Vancouver and I was pretty excited to hear there was such a place as my maiden name is Whyte! 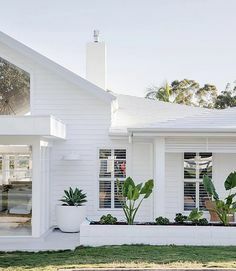 I wonder if some distant relative is connected to this place. 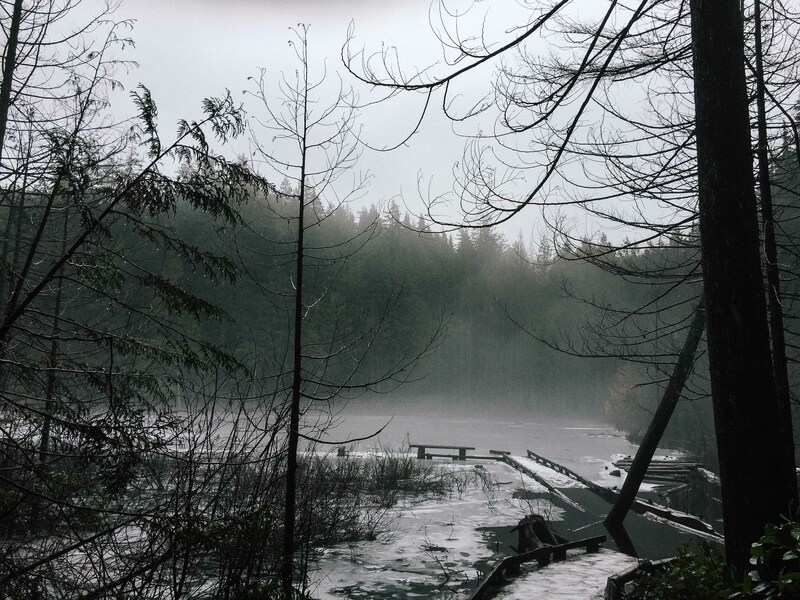 The day we visited the lake was half frozen and very mysterious looking – a bit like a movie scene and very different to the description and photos you can find here. 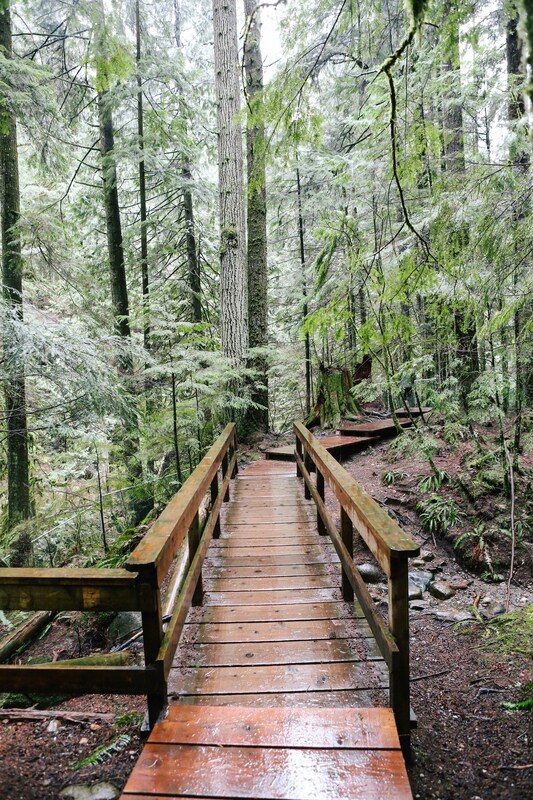 Even half the walk ways at the lake were covered in water so it will be great to head back during summer to see how different it looks. 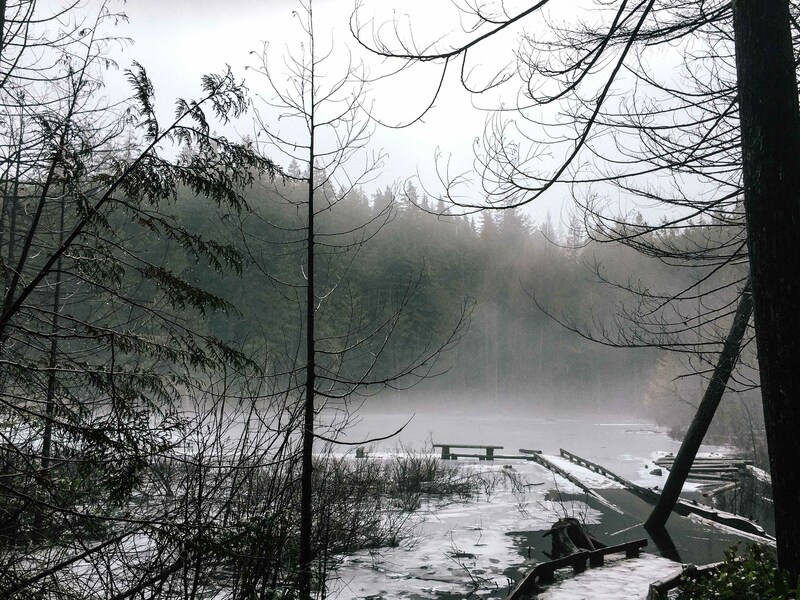 The rainy weather also meant that I didn’t want to take my “good” camera with me so these few shots that give you a brief look at a very misty and cold Whyte Lake are taken with my iPhone camera. 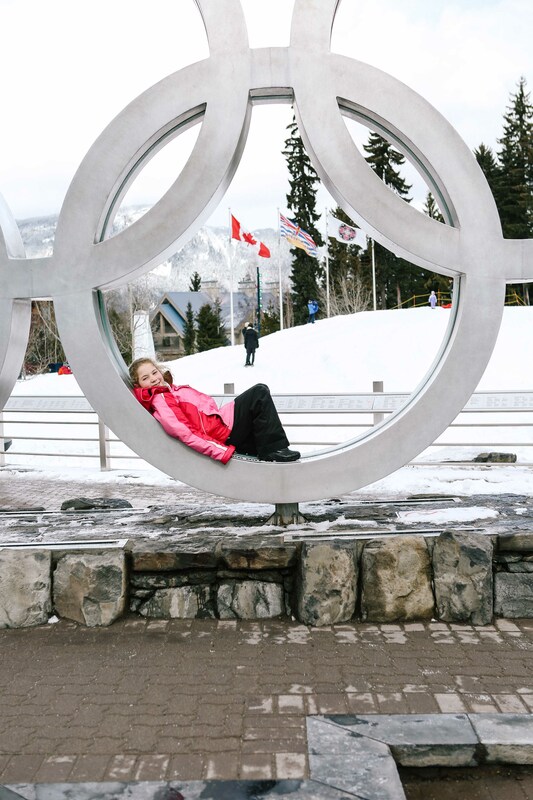 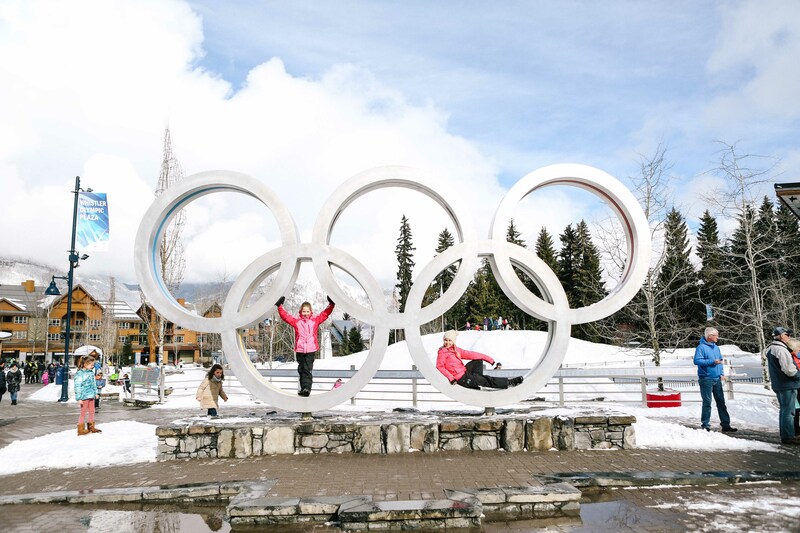 We were so lucky to be able to spend another wonderful weekend up in Whistler with some new friends we have met through Sienna’s school. 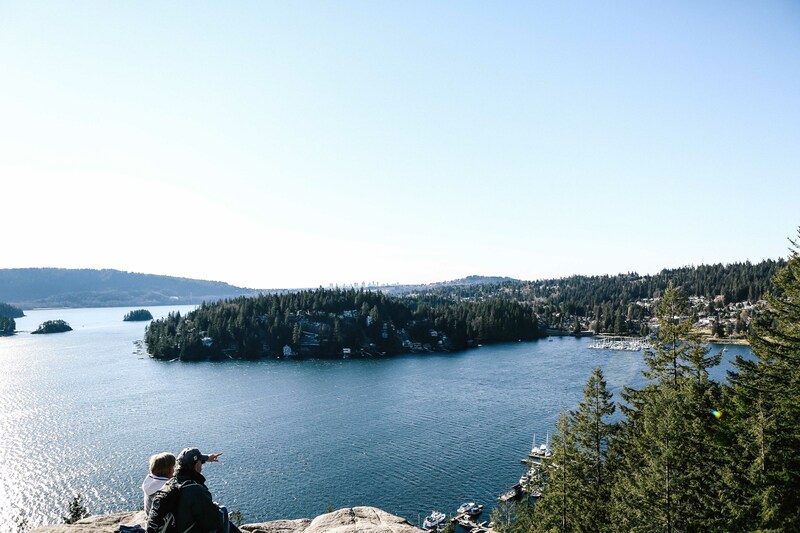 They have also moved their family from Australia to Vancouver for a few years so what better place to hang out over a weekend than at the magical Fairmont Heritage Place at Nature’s Door. 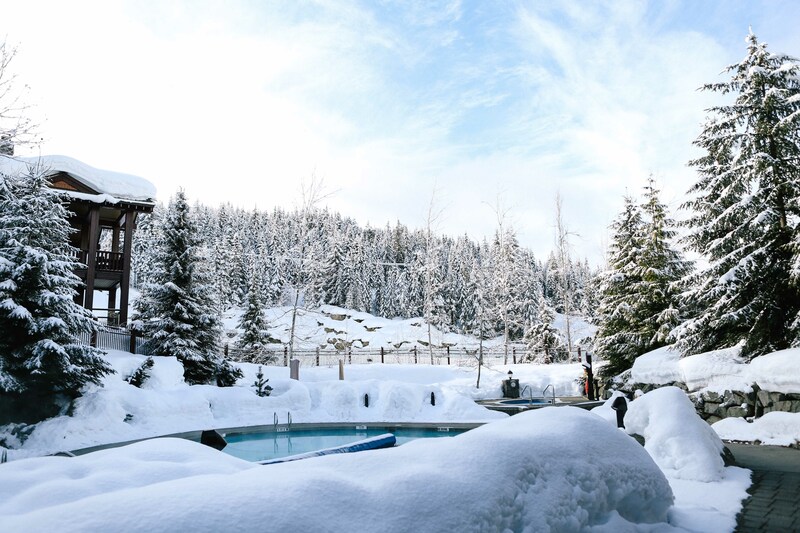 This place is like being in heaven and with the snow season that they are currently experiencing here on the west coast of Canada it was even more magical! 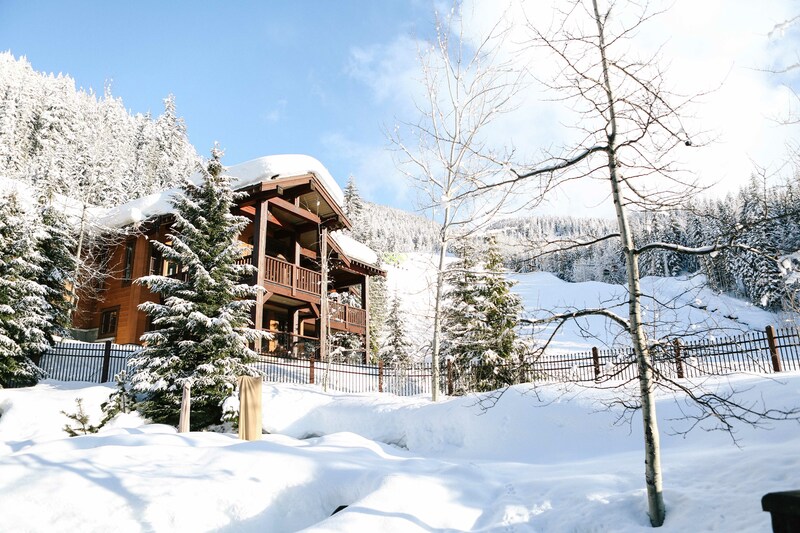 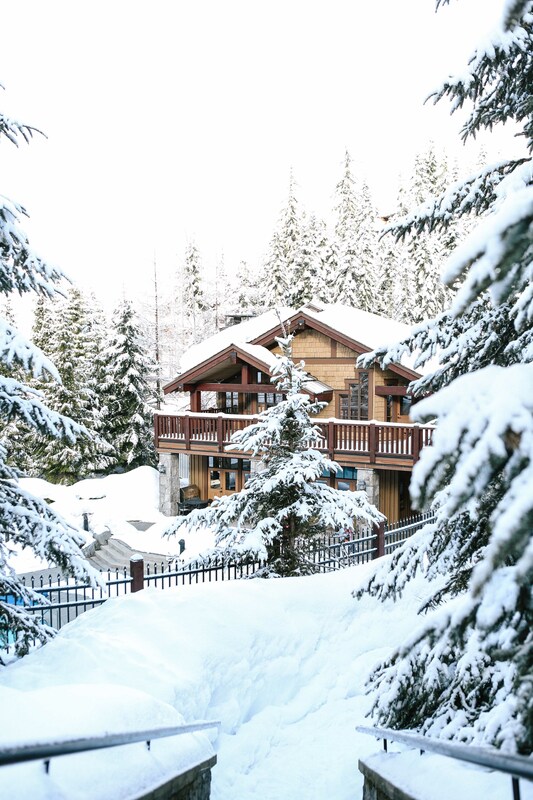 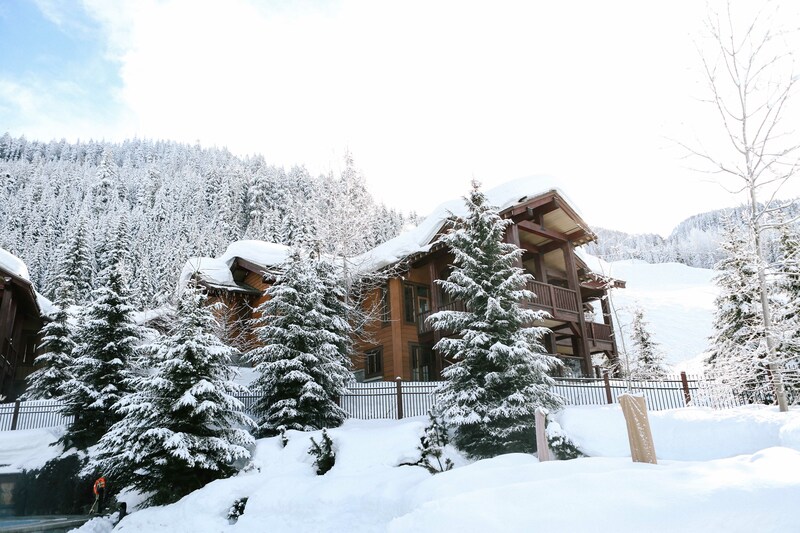 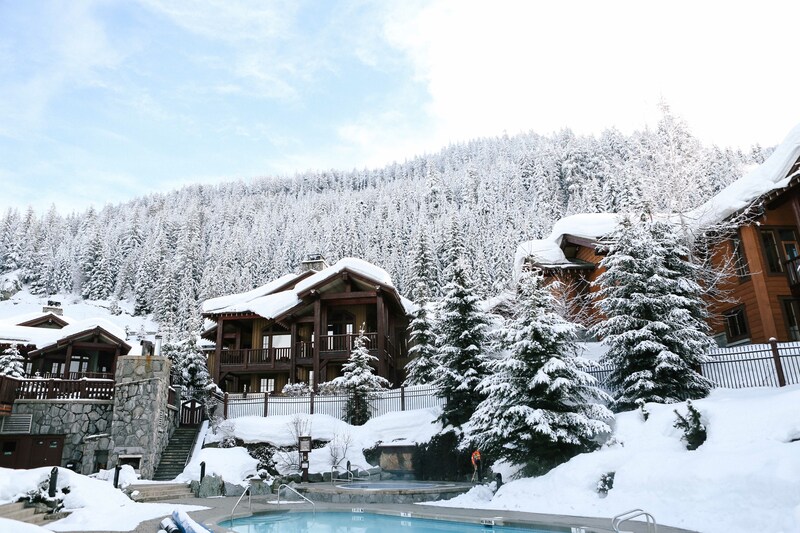 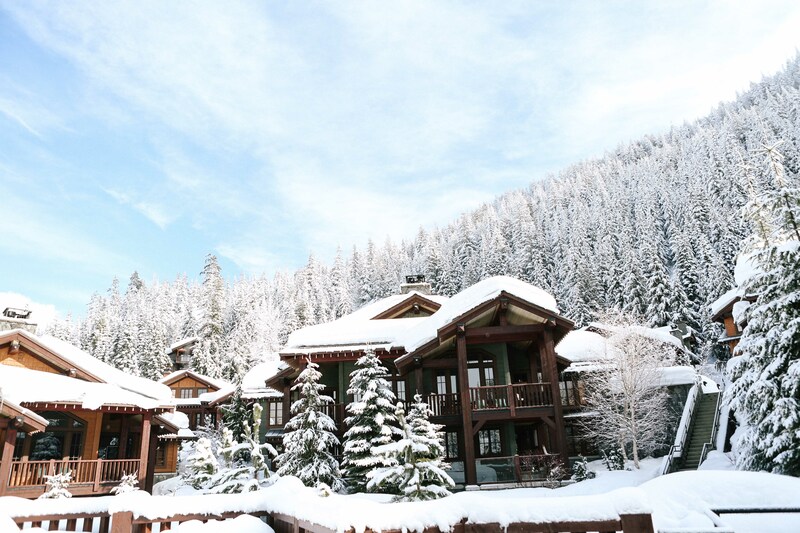 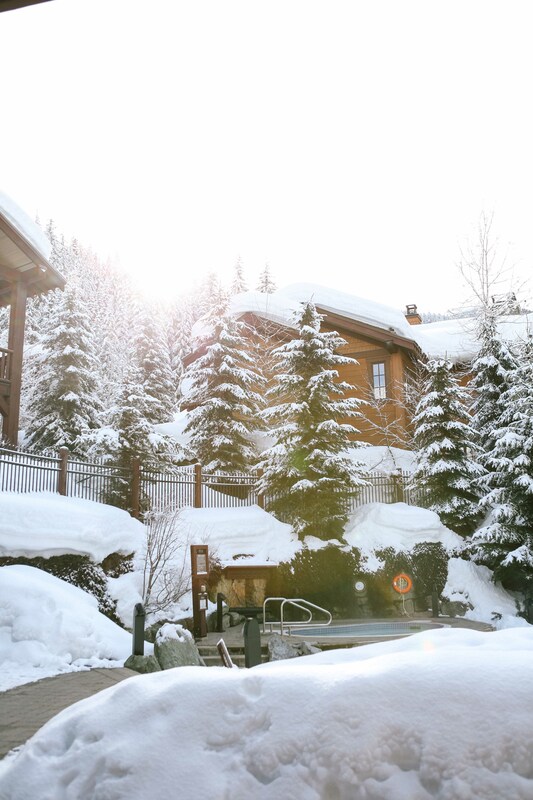 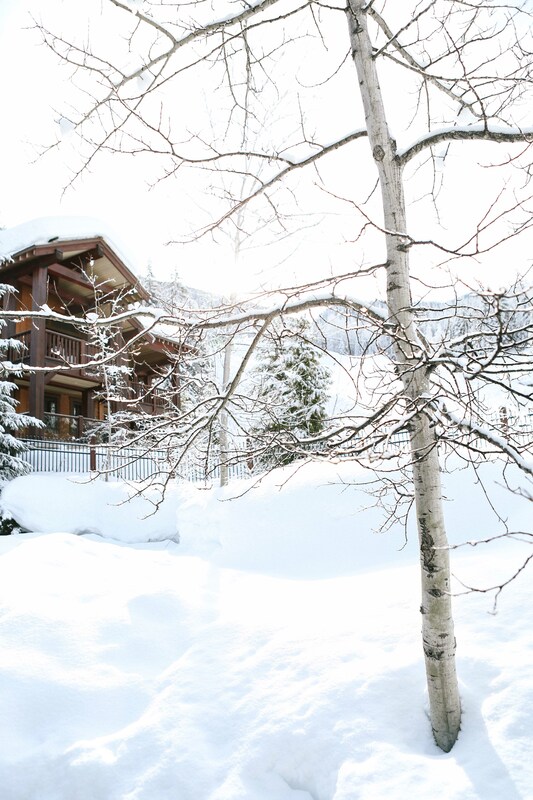 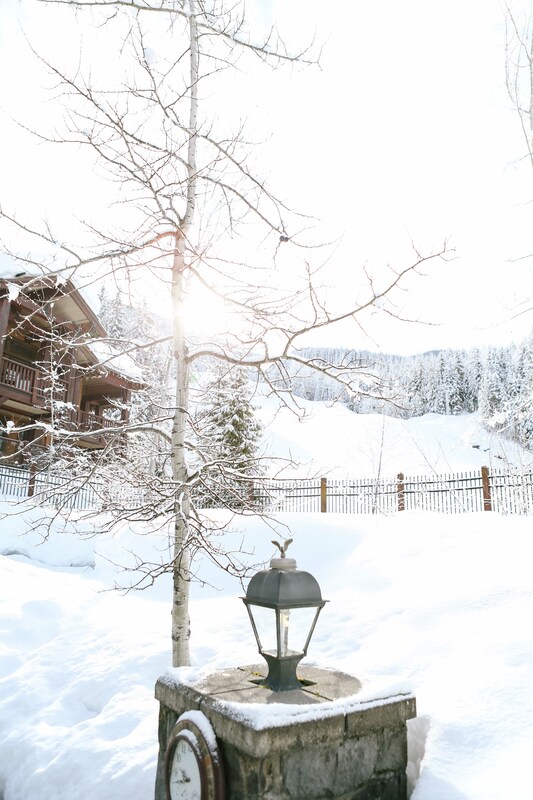 This amazing property is just on the side of the ski slope that was the location for the 2010 Winter Olympics downhill course. 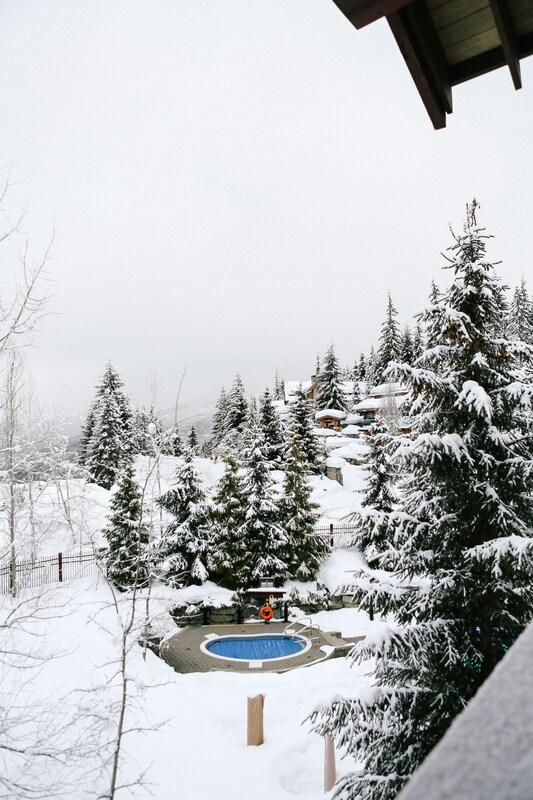 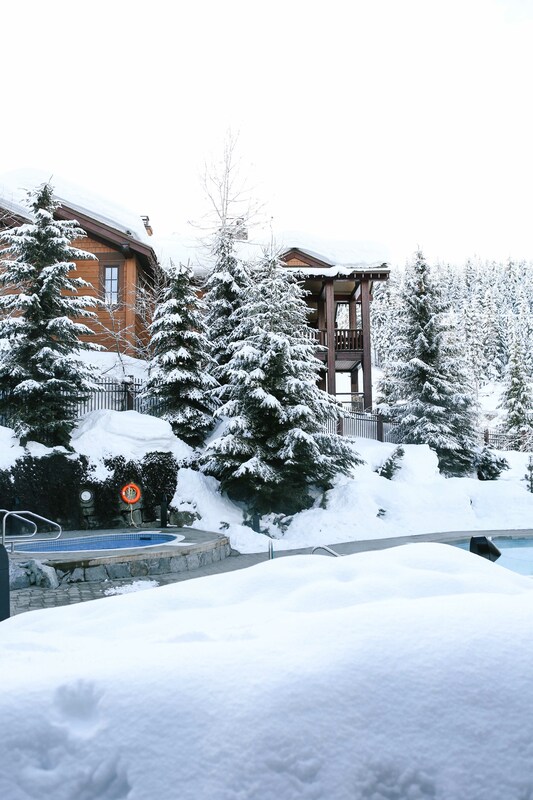 We were even able to swim and relax in the hot tub with the snow around us! 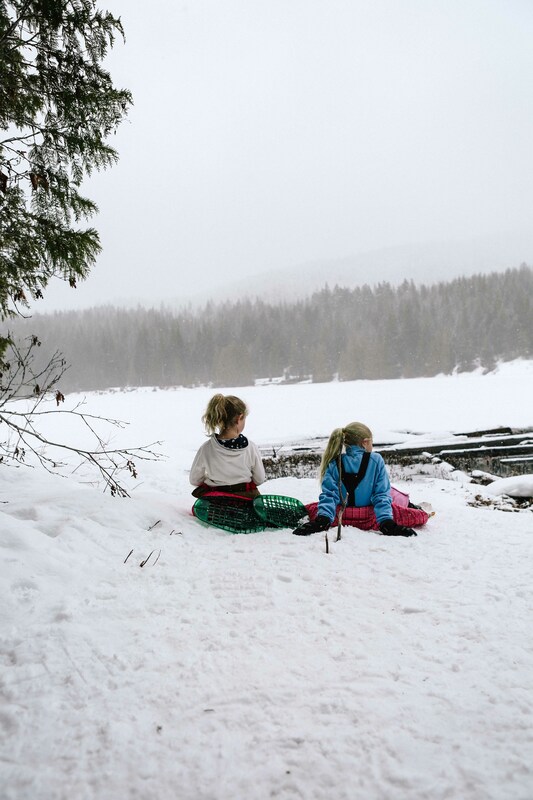 Over the weekend Sofia, Indi and I did some snow shoeing and the three girls did more ice skating in the village between enjoying the pool back in our home away from home! 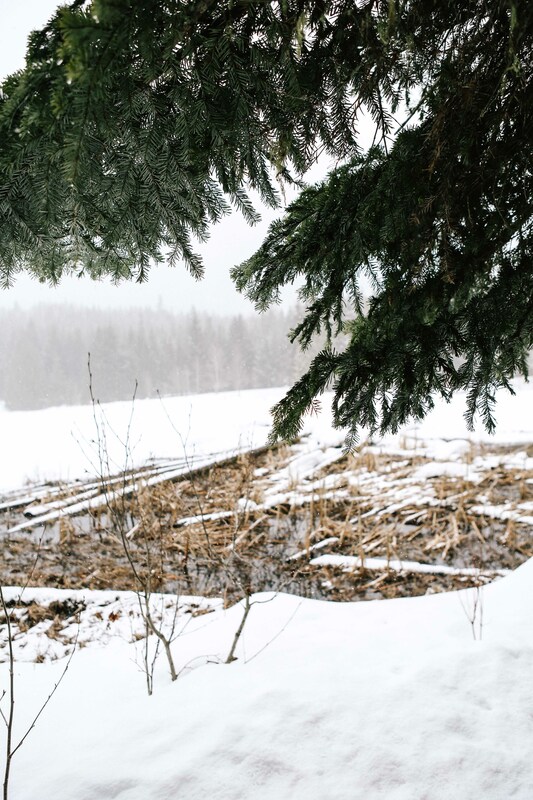 Lots of photos below – the light on the snow was just amazing and every time I turned around the landscape looked different so my camera had a great workout! 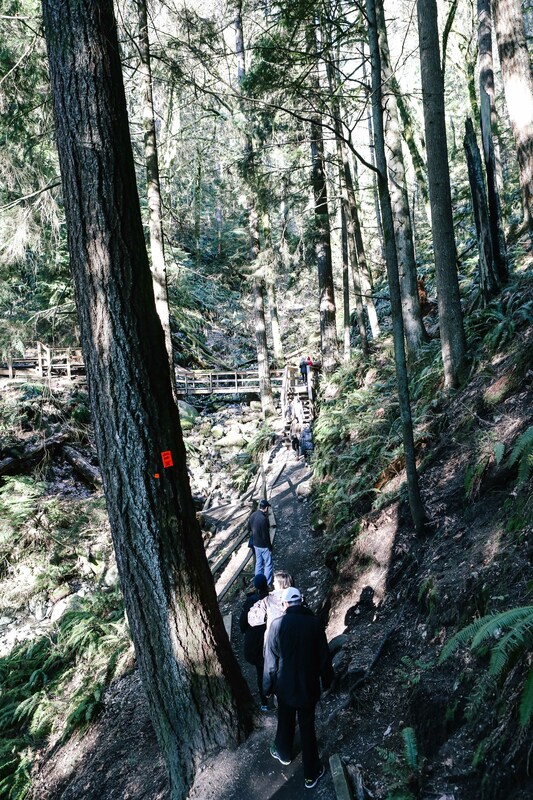 One of our recent walking group trips was to the area of Deep Cove in North Vancouver. 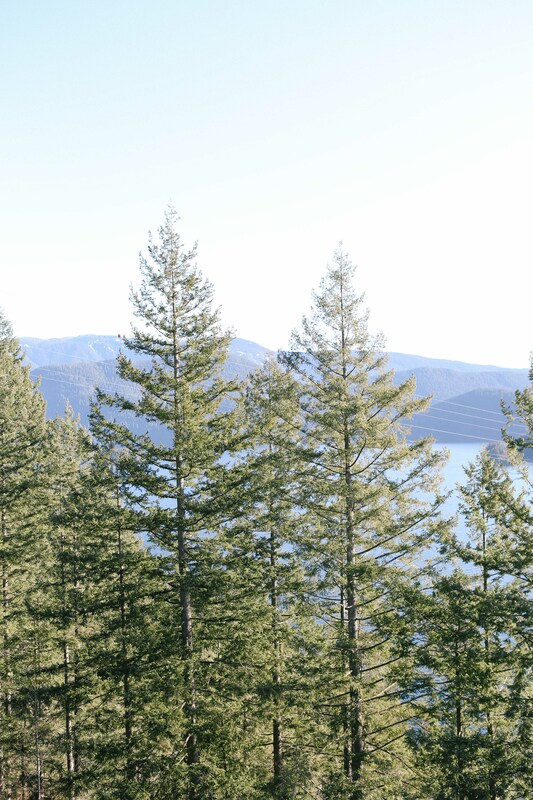 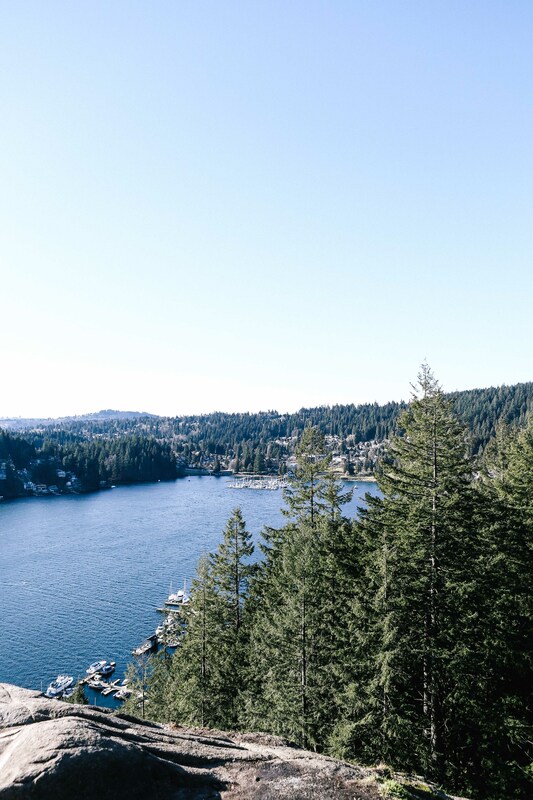 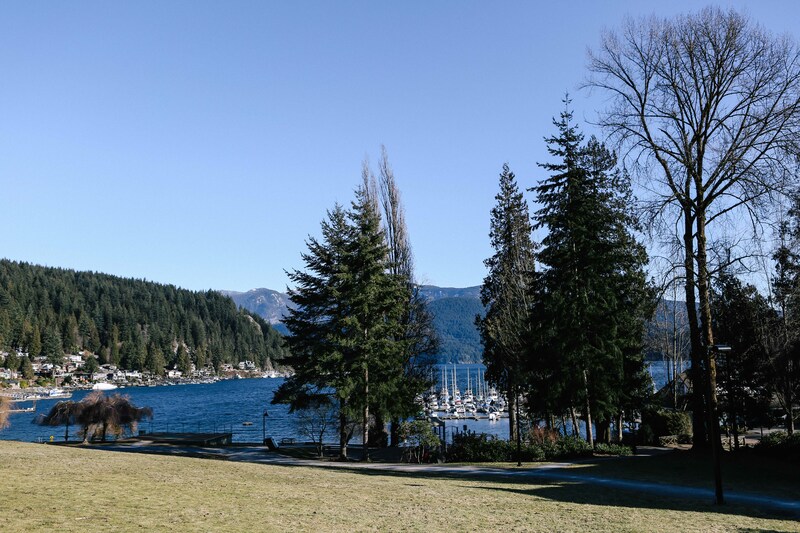 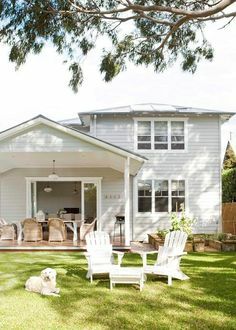 Deep Cove is a quaint and pretty little suburb on the outskirts of the city – about a 30 minute drive from downtown. 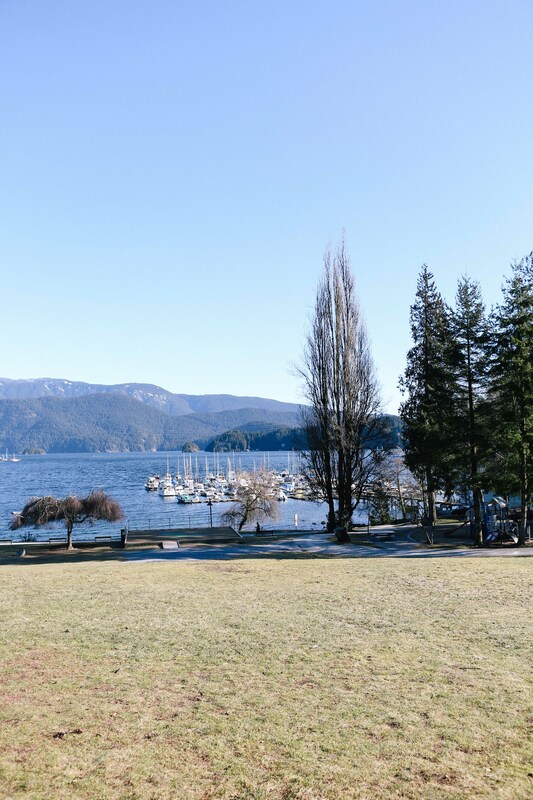 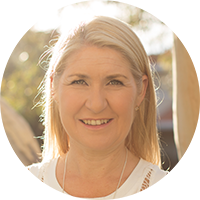 My lovely friend Heather from Sydney was born Vancouver and grew up in Deep Cove until she headed to Australia so it was lovely to see her home town! 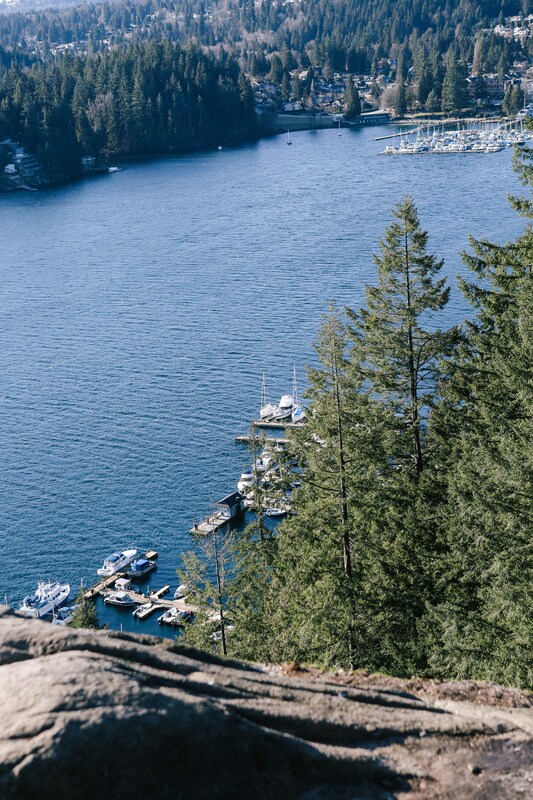 Our walk was the Quarry Rock Hike which is a 3.8km out and back trip with the most spectacular views back to Vancouver once you reach the rock at the end of the trail! 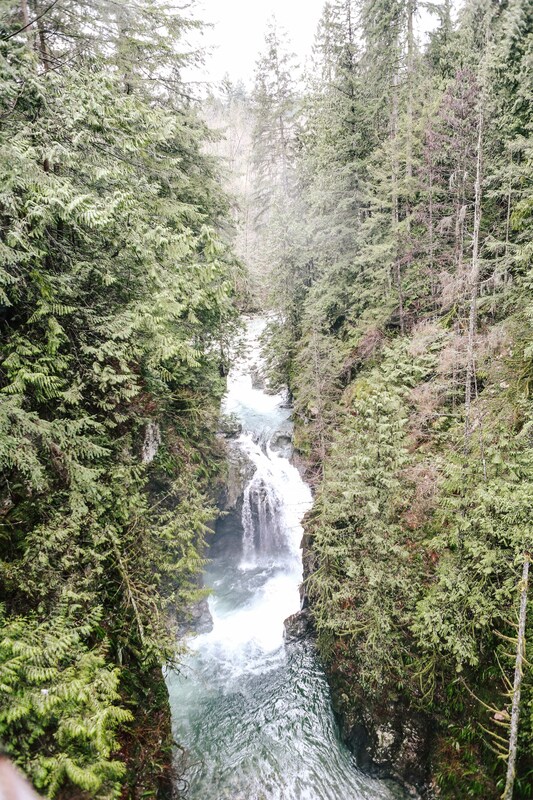 We were luck to visit on a crystal clear day so it was just beautiful. 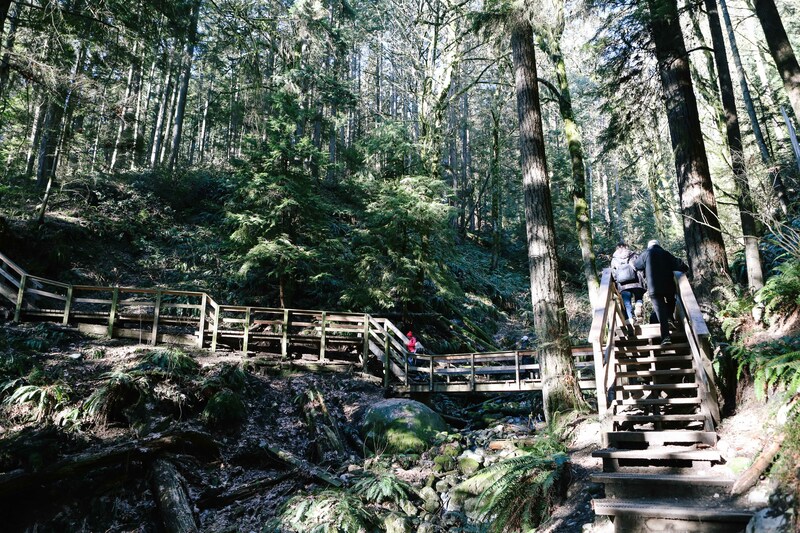 Click here are the instructions on how to find this walk – definitely worth the trip! 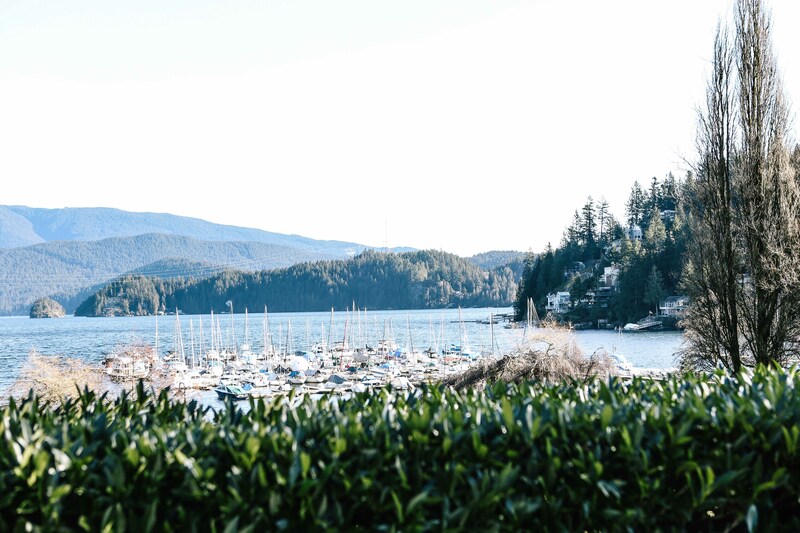 There were lovely little cafe’s to visit in the Deep Cove Village – after our walk we had coffee and a snack at the Bluhouse Market & Cafe which had some delicious organic food on offer! 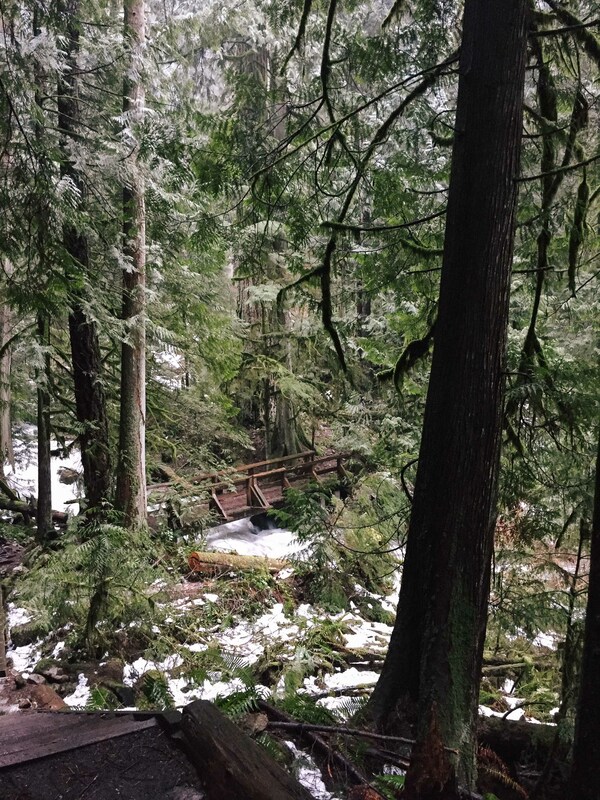 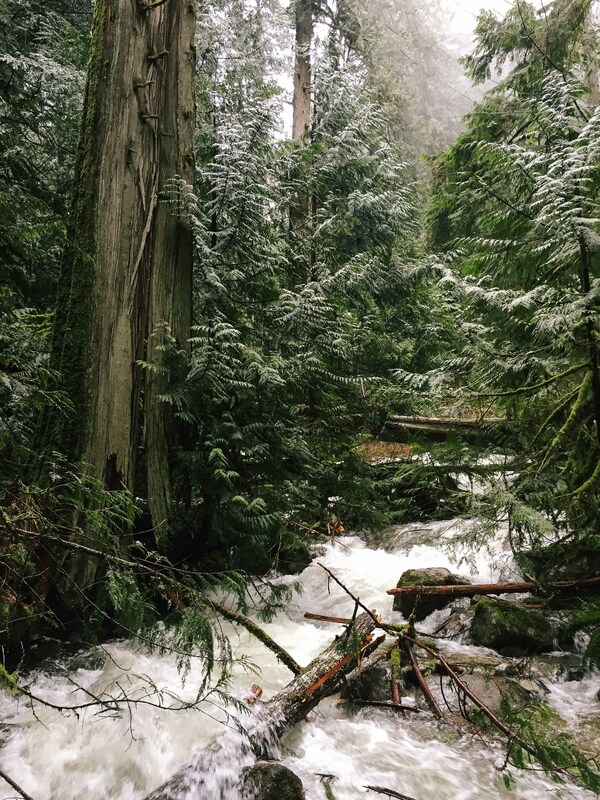 Lynn Canyon is a fabulous spot to visit in North Vancouver. 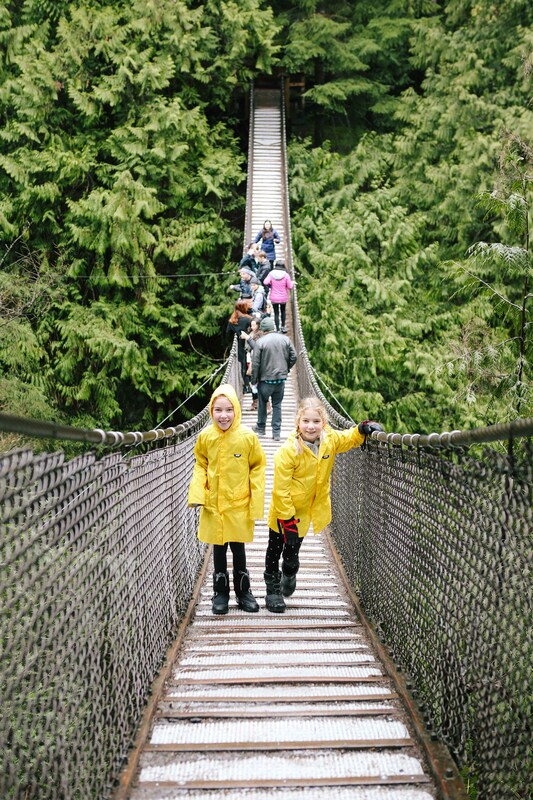 We took the girls over on a rainy Sunday so we could see the suspension bridge & waterfalls and take a walk on the trails. 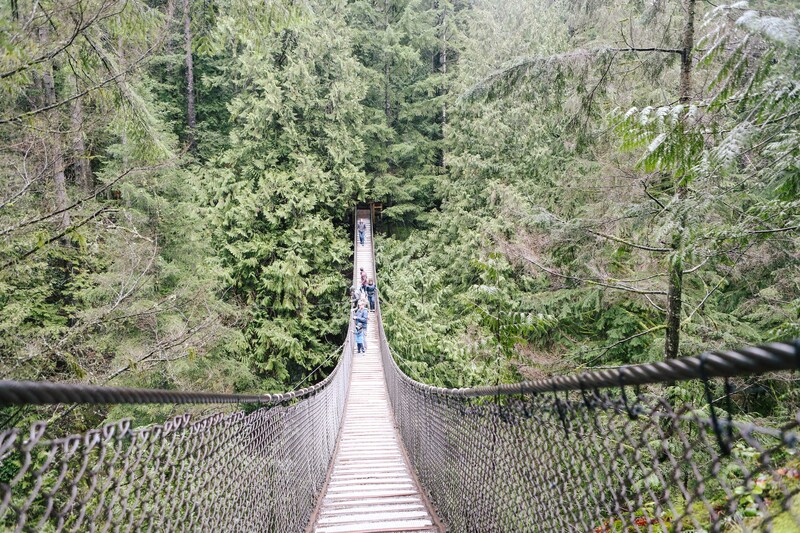 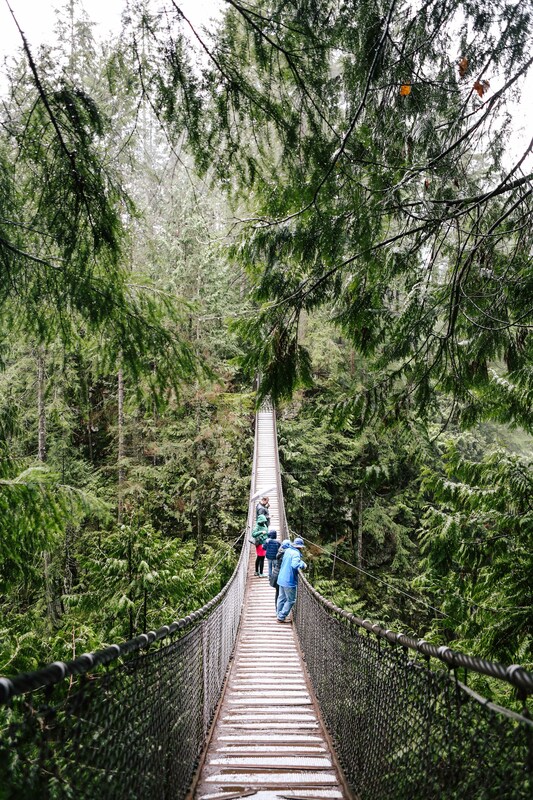 Vancouver has two great suspension bridges that cross over some beautiful canyons. 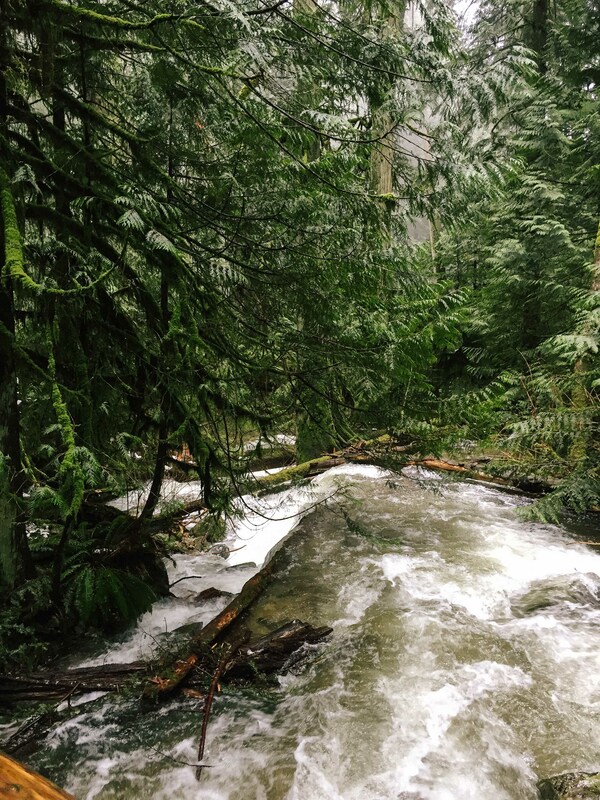 Lynn Canyon is the quieter and less famous of the two so it wasn’t too busy the day we visited – it is also the free one! 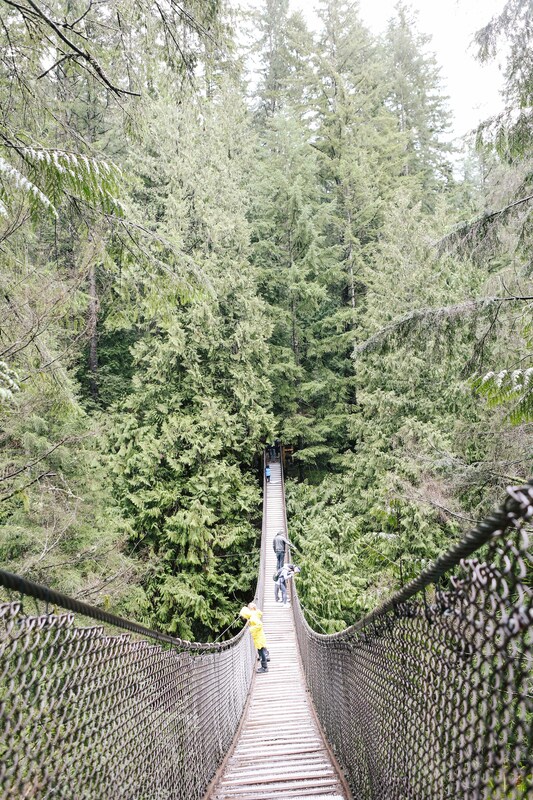 It is narrow though so lucky there weren’t too many people out for a visit the day we were there! 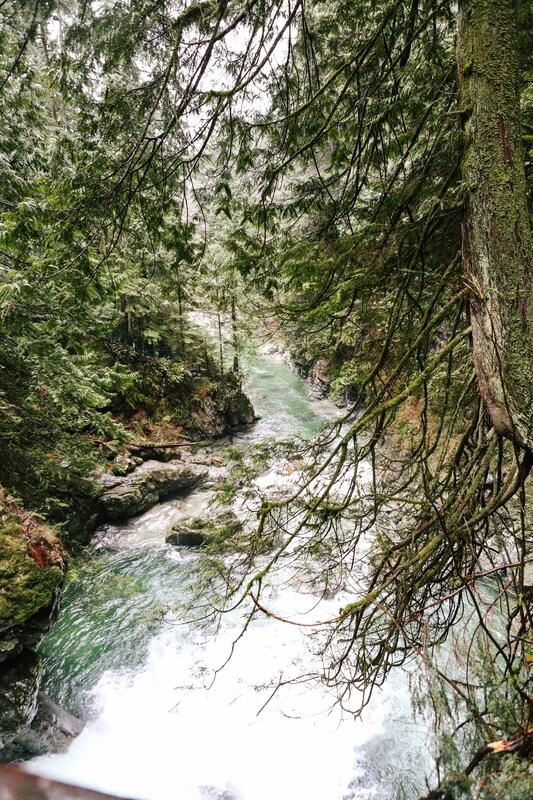 We look forward to visiting again when the weather is warmer when we can go down to the river and possibly take a dip! 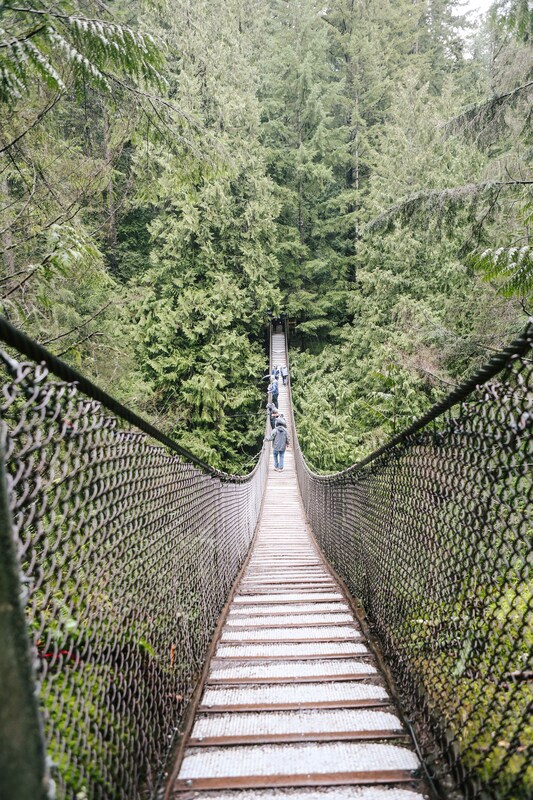 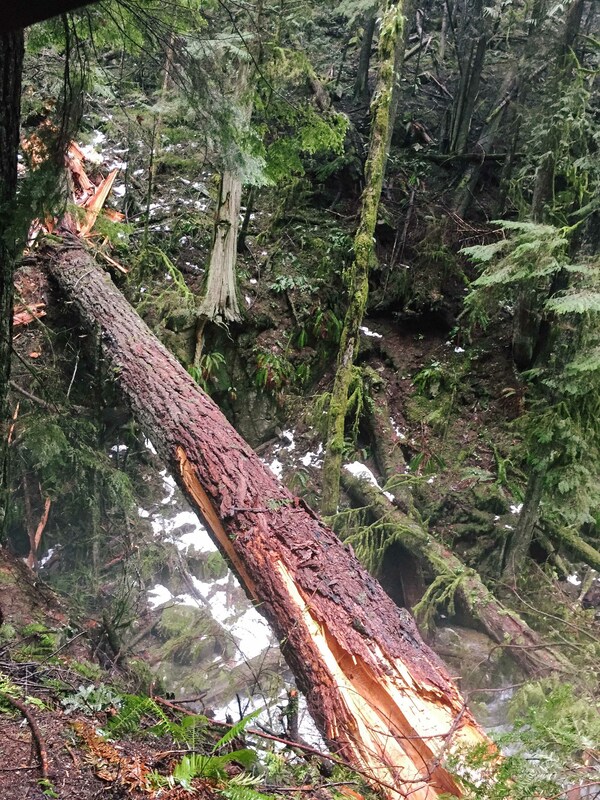 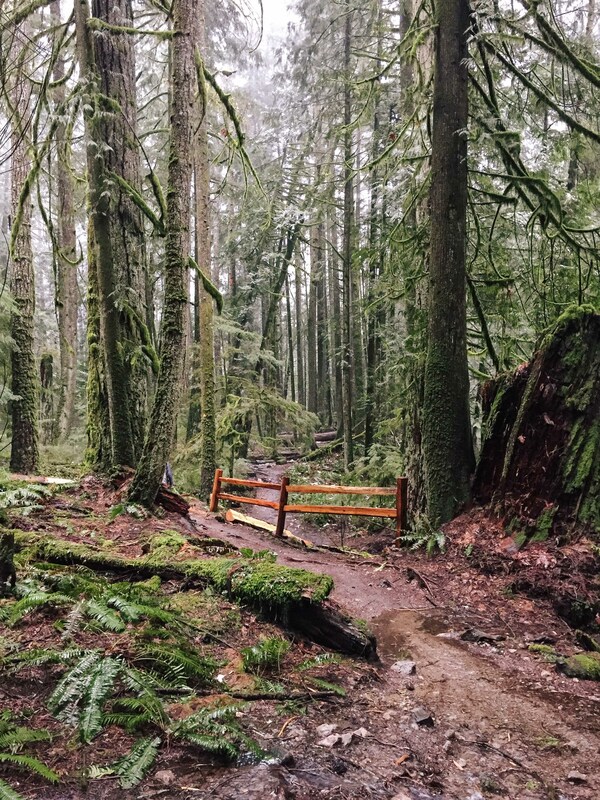 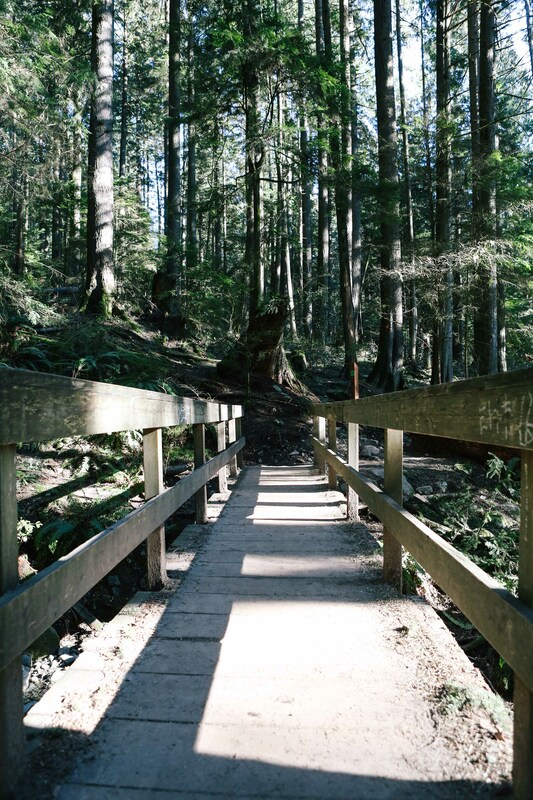 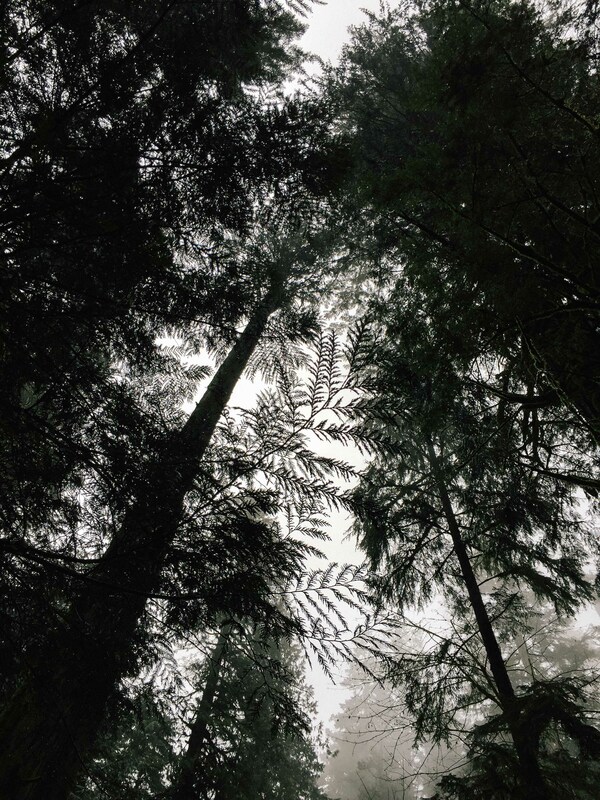 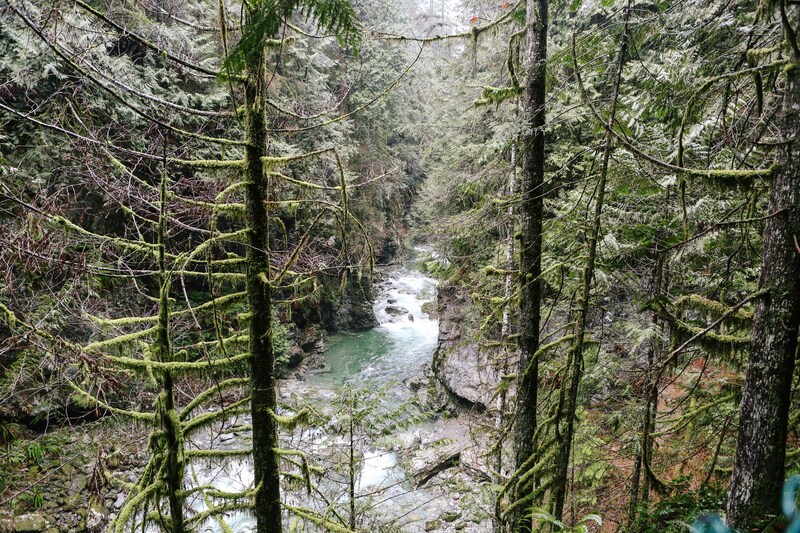 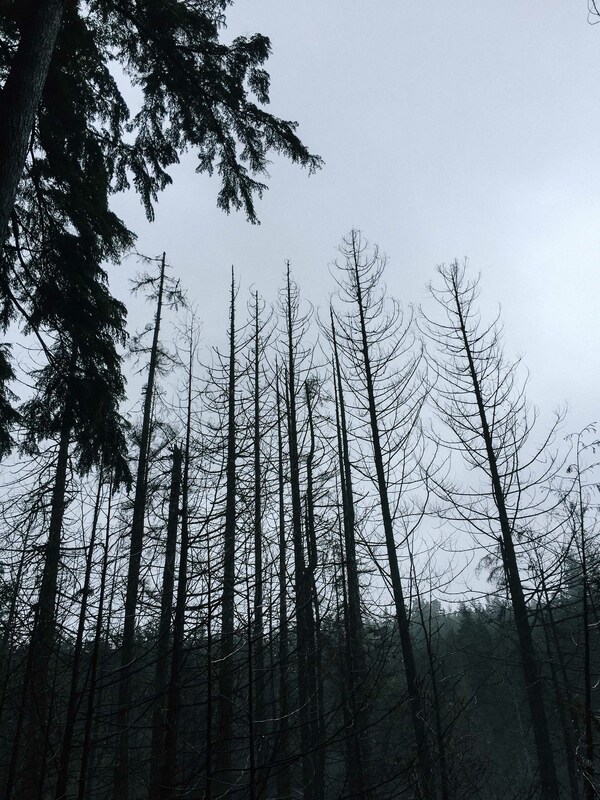 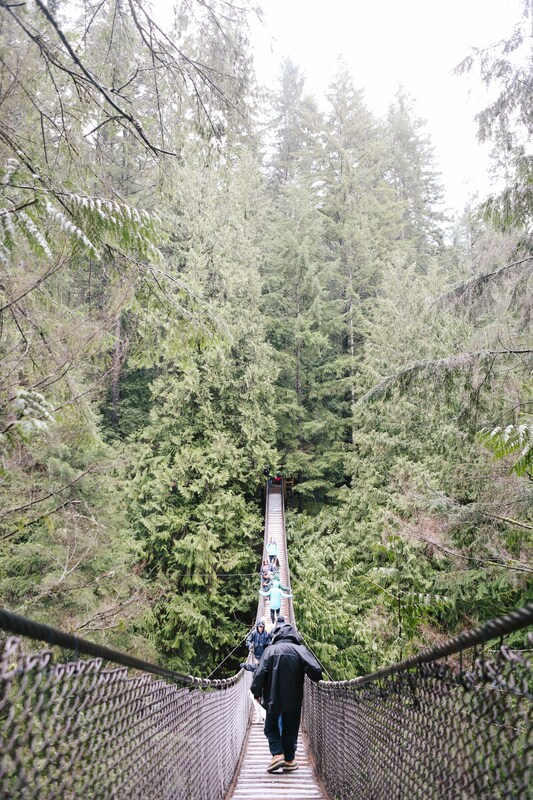 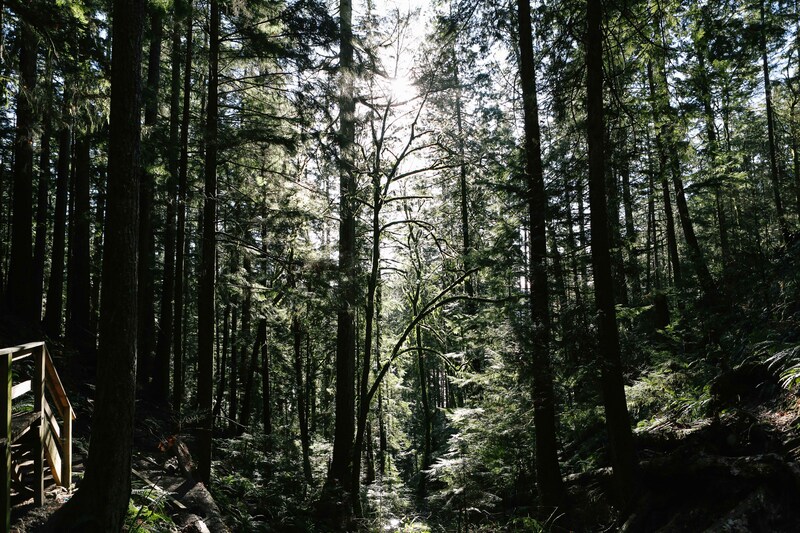 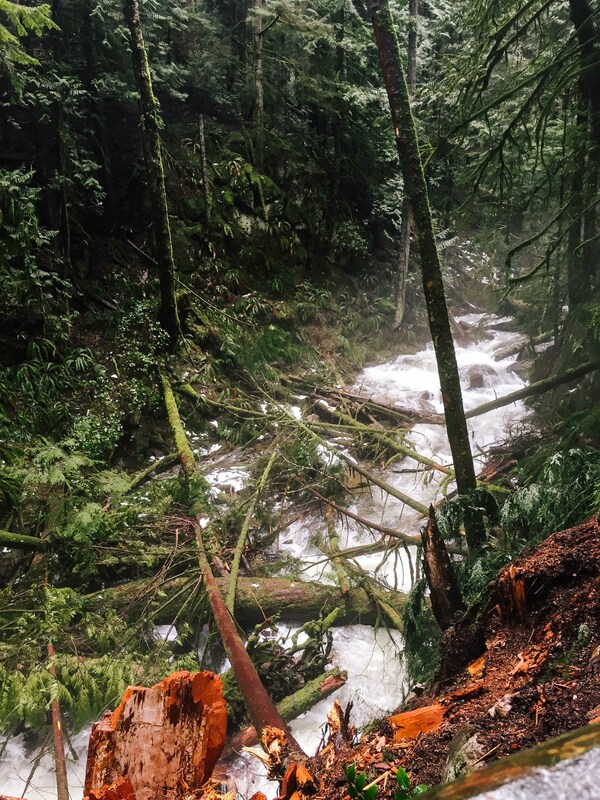 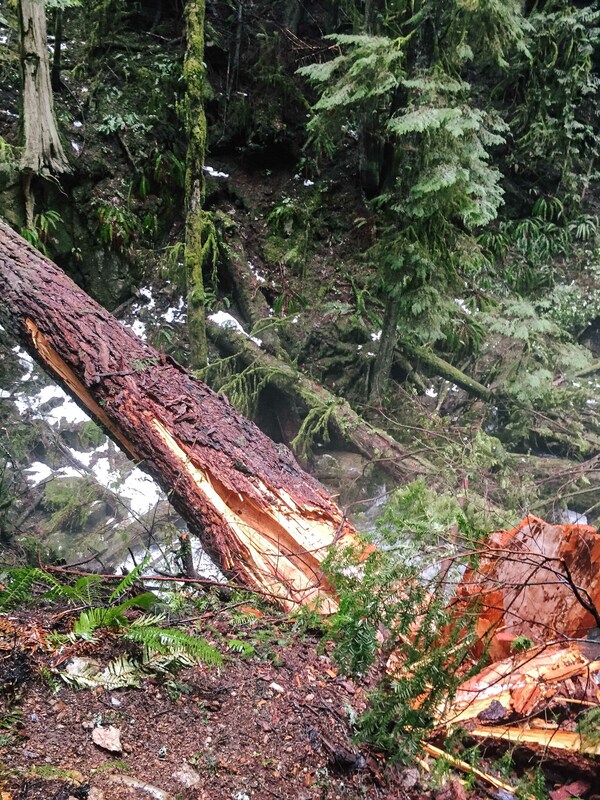 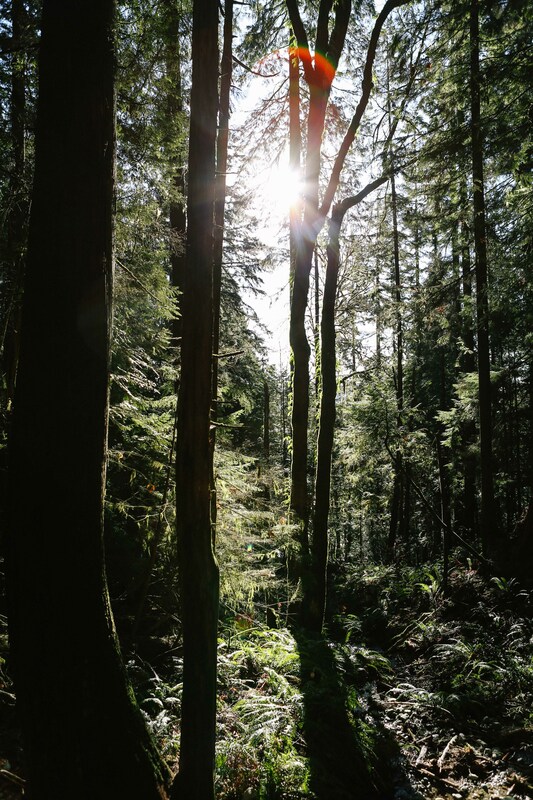 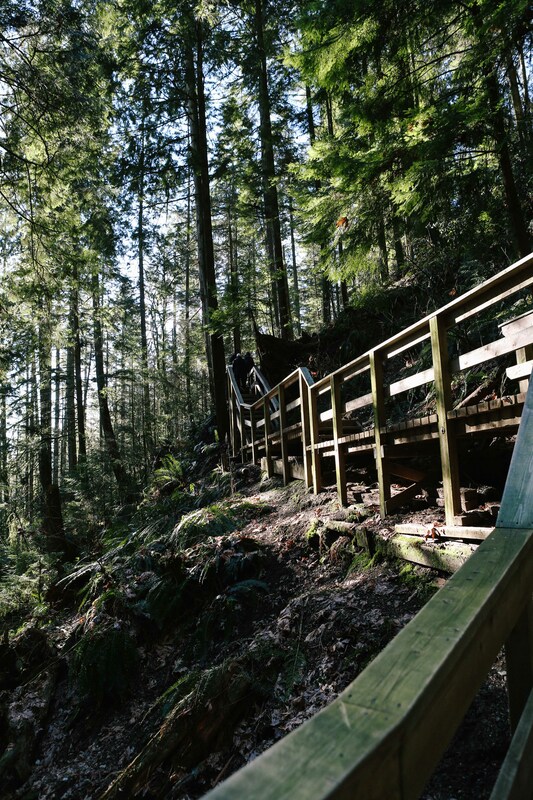 Find out how to get to Lynn Canyon here!